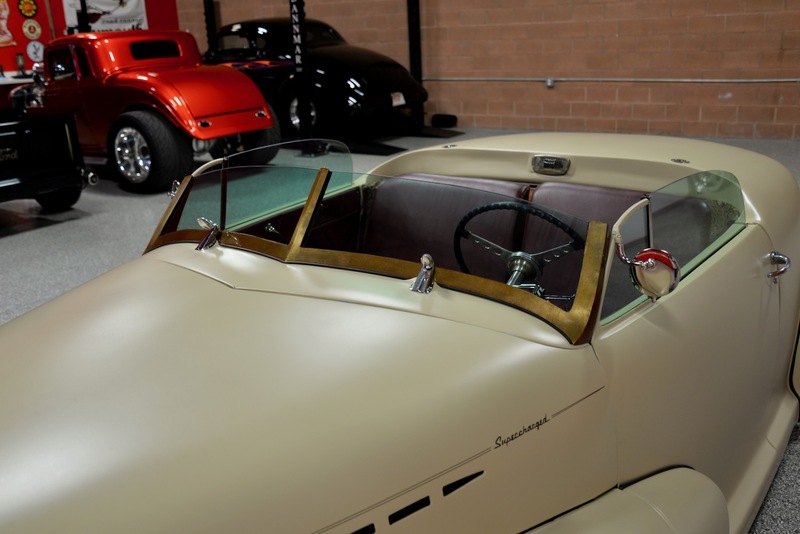 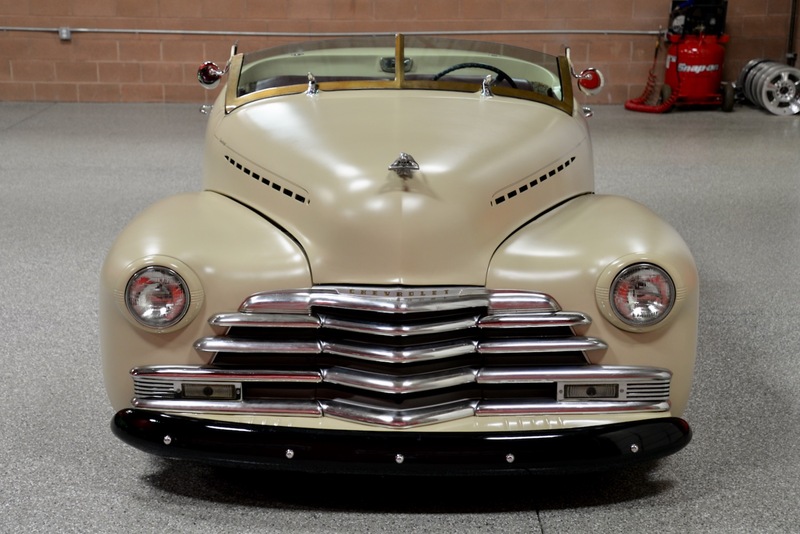 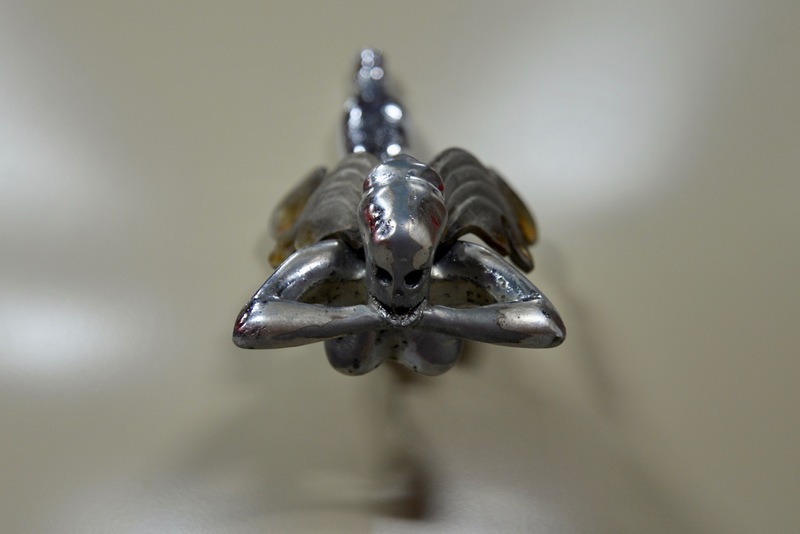 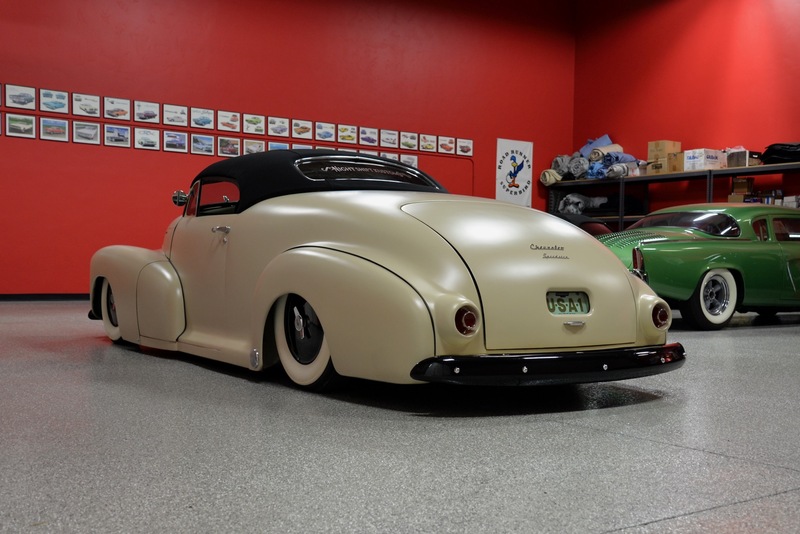 If you are searching for a one-of-a-kind classic car that will separate you from all of the other folks out there, you will want to take a very close look at this amazing machine! 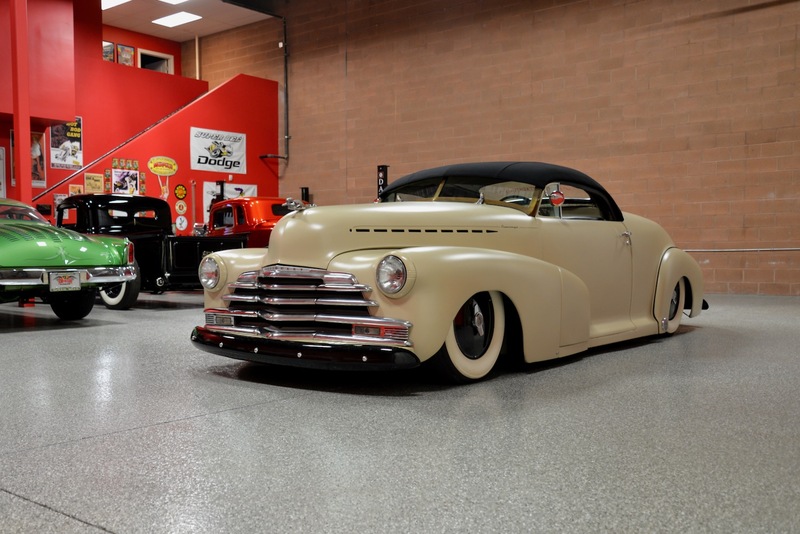 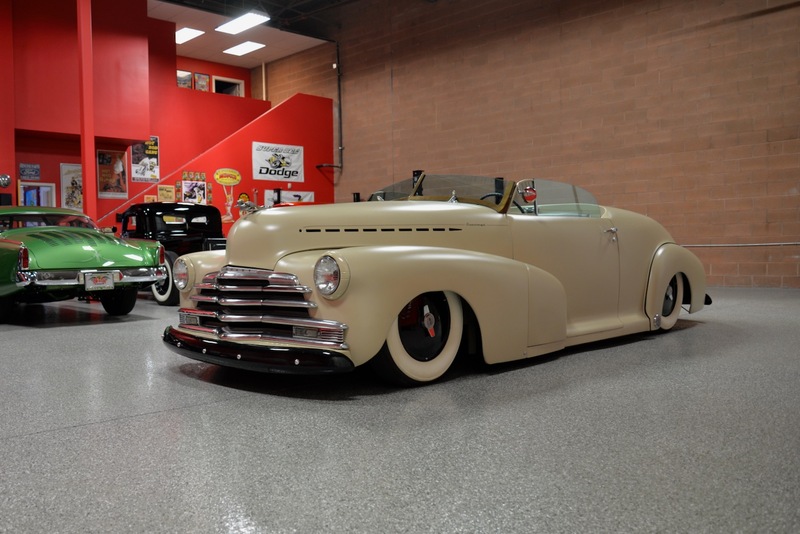 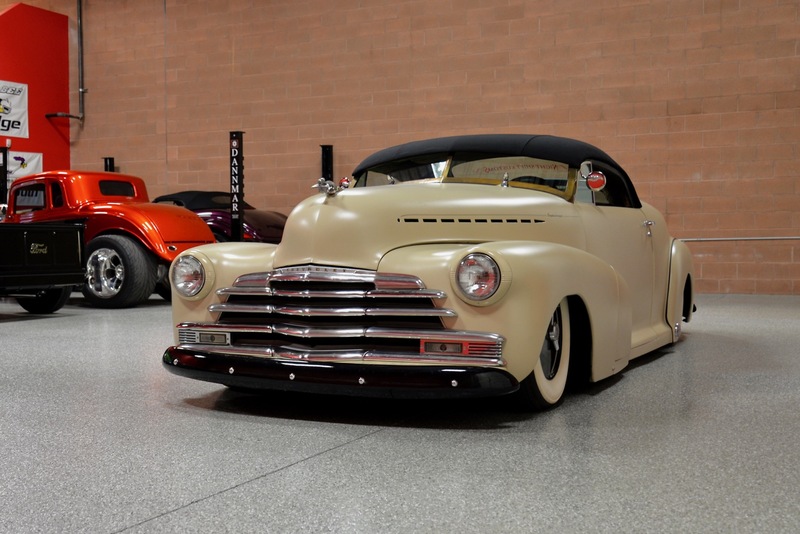 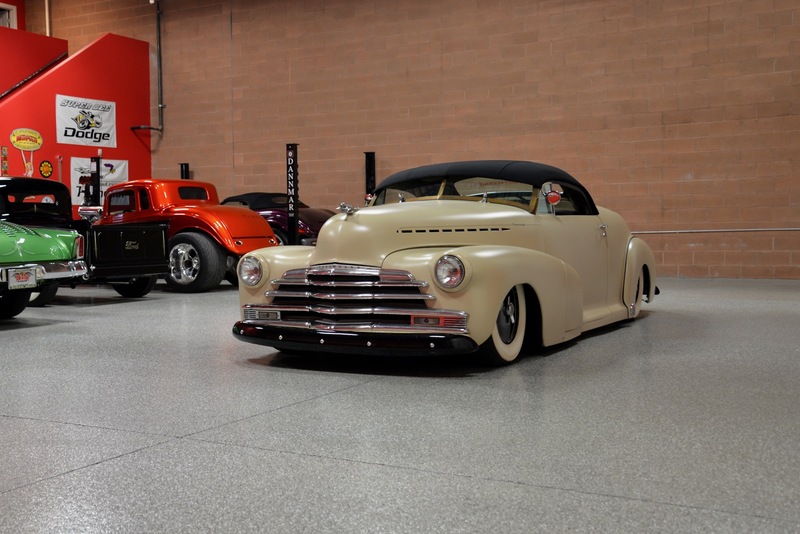 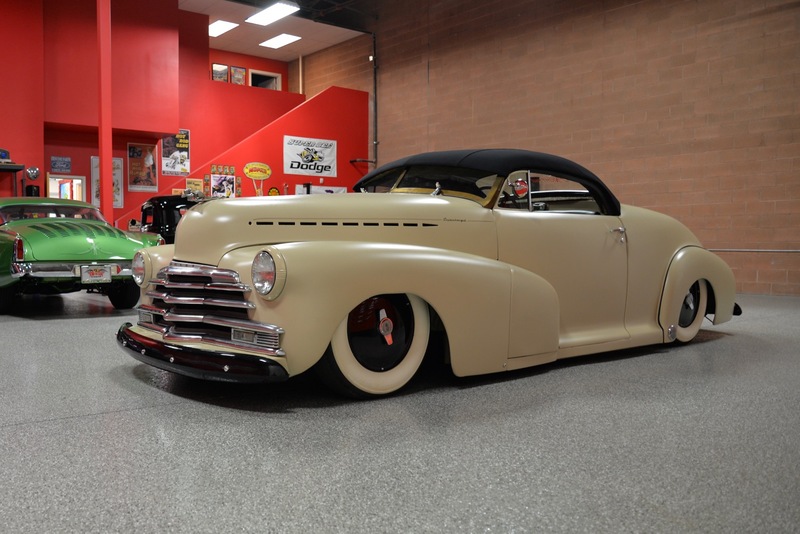 ‘Red Hills Rods & Classics’ is happy to offer you this beautiful hand-built 1947 Chevrolet Sport Coupe Kustom! 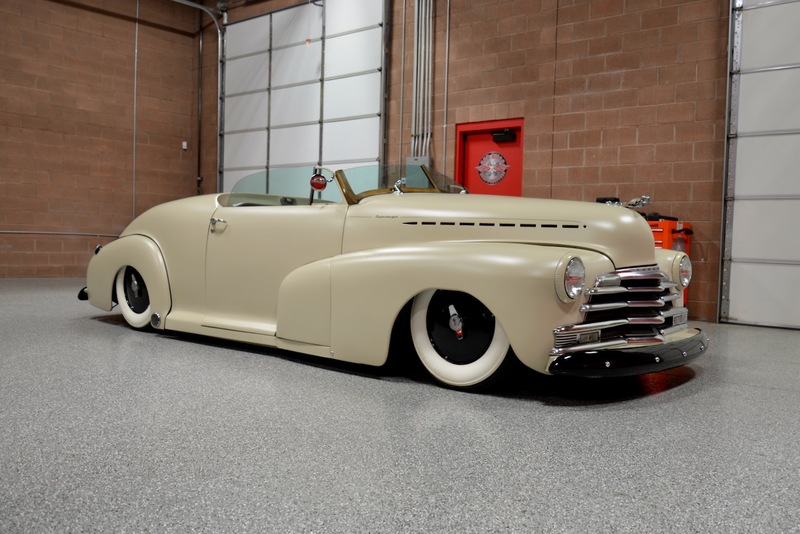 This ultra-cool Kustom Chevrolet was built from scratch by Kyle Lauman @ Night Shift Kustoms here in Saint George, Utah, over the course of over five years. 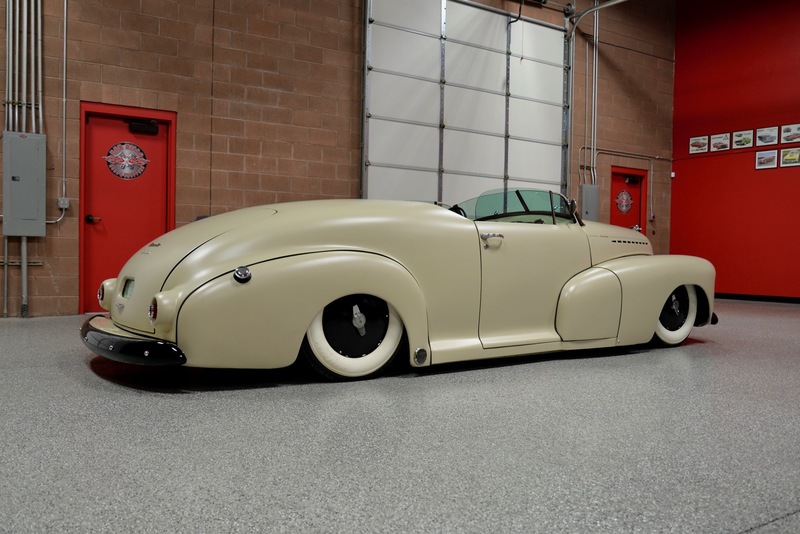 It would be impossible to describe the blood, sweat & tears, as well as the countless man-hours spent creating this vehicle. 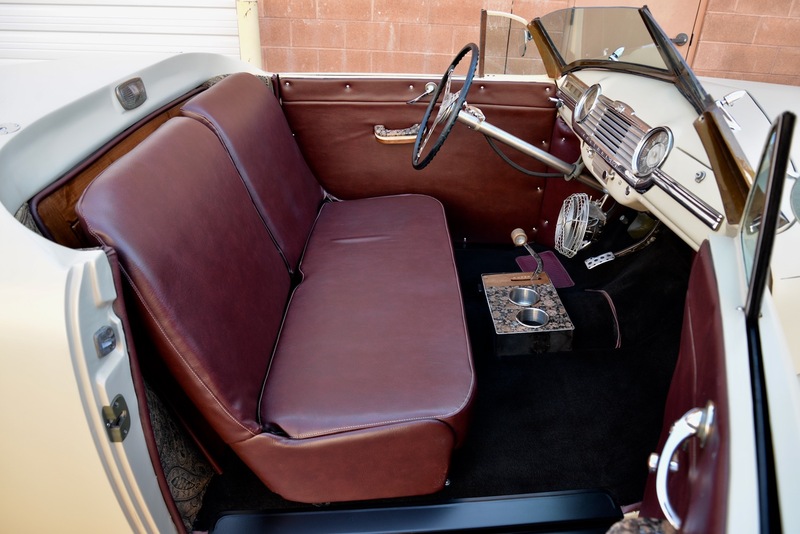 The project started w/ an original 5-window 2-door coupe and the extensive modifications began. 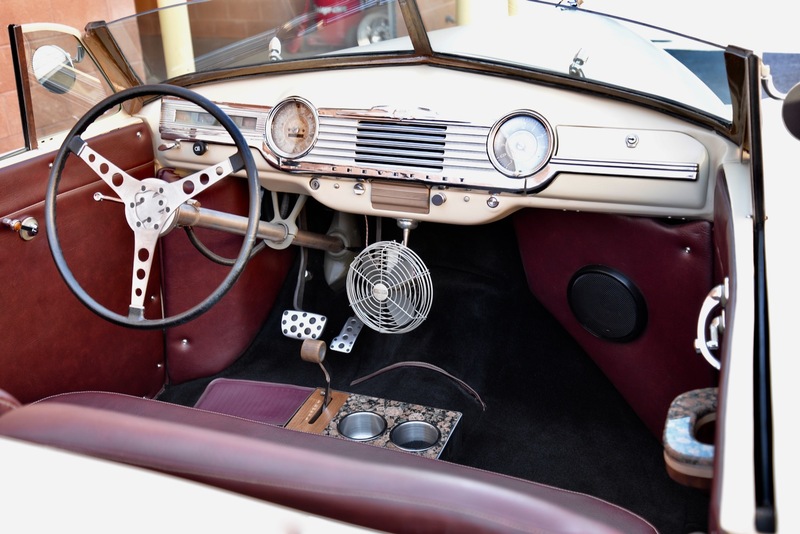 The original roof was removed, along w/ 2” of the body lines below the windows, and the 5-window area in back was filled in using the original roof. 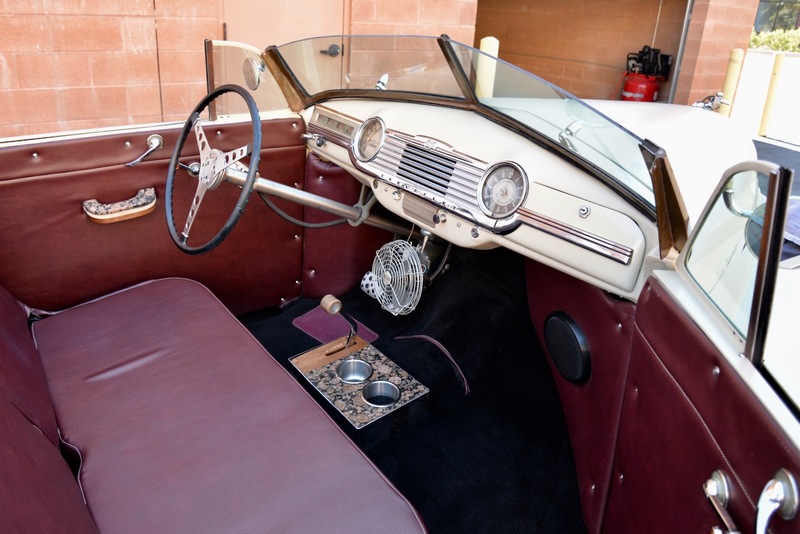 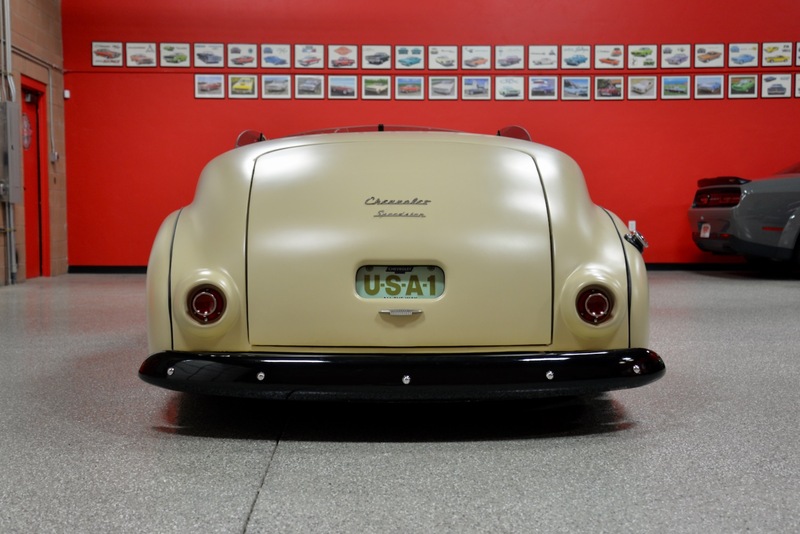 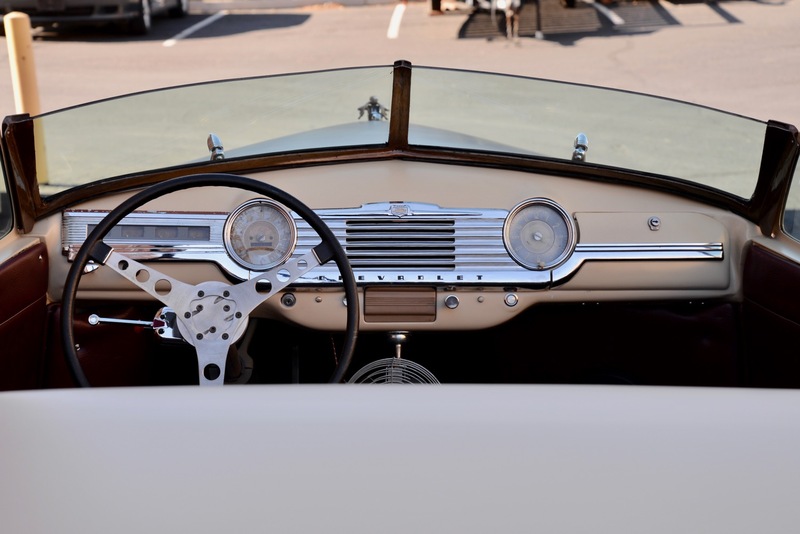 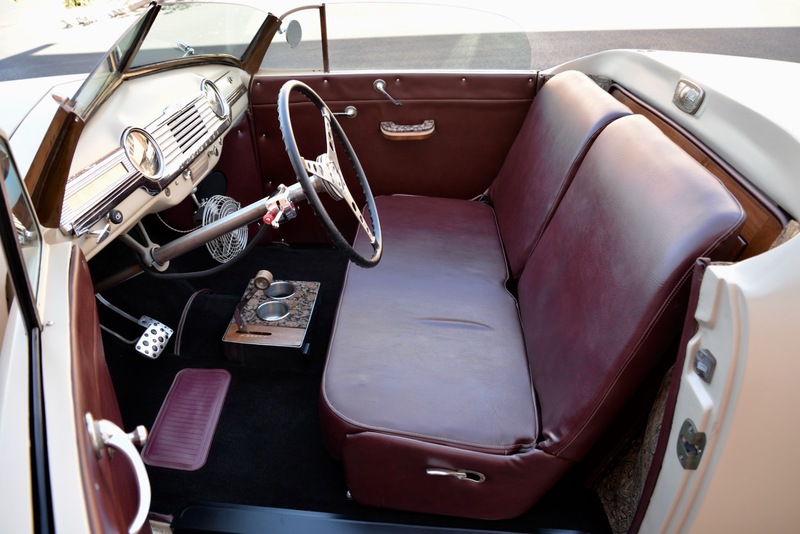 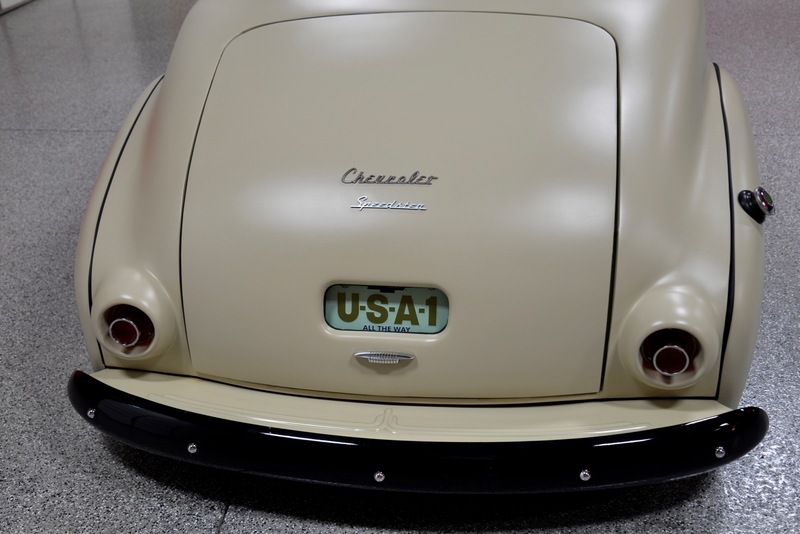 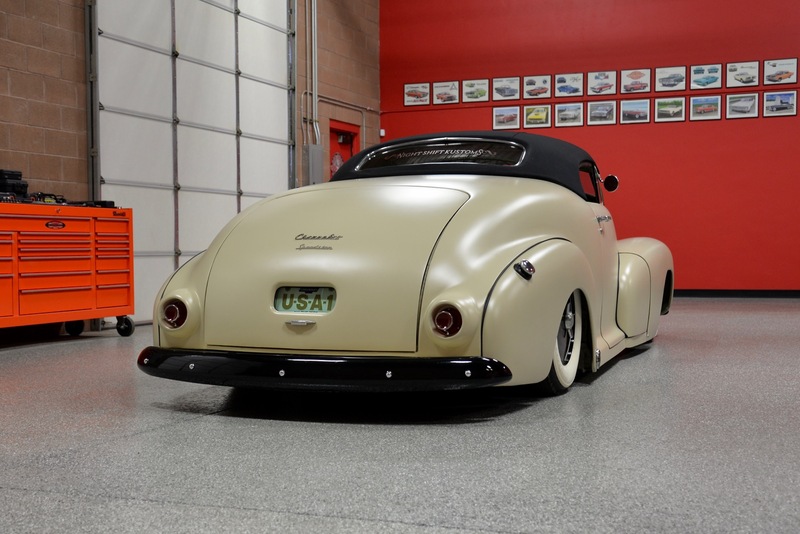 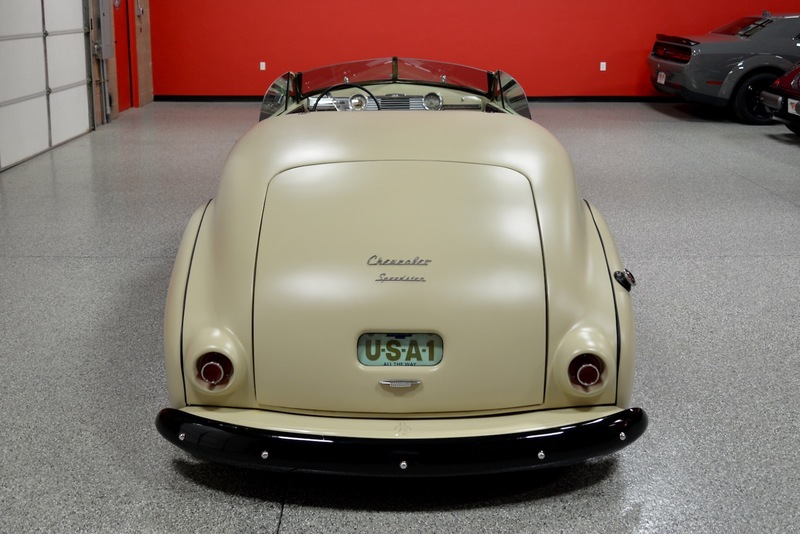 The 3-window Carson style removable hardtop was made from a ’47 Chevy 2-door sedan w/ 34” removed from the middle, then covered in 1/8” foam w/ Mercedes convertible top material, which gives it a retractable hardtop look. 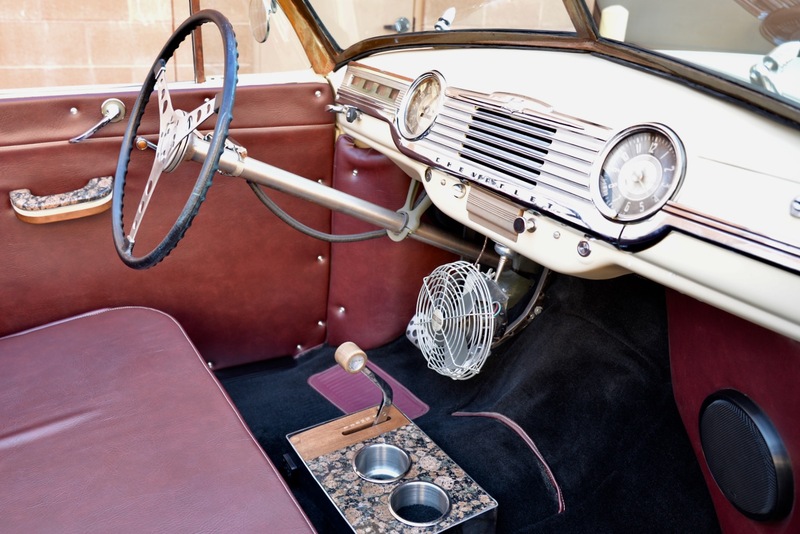 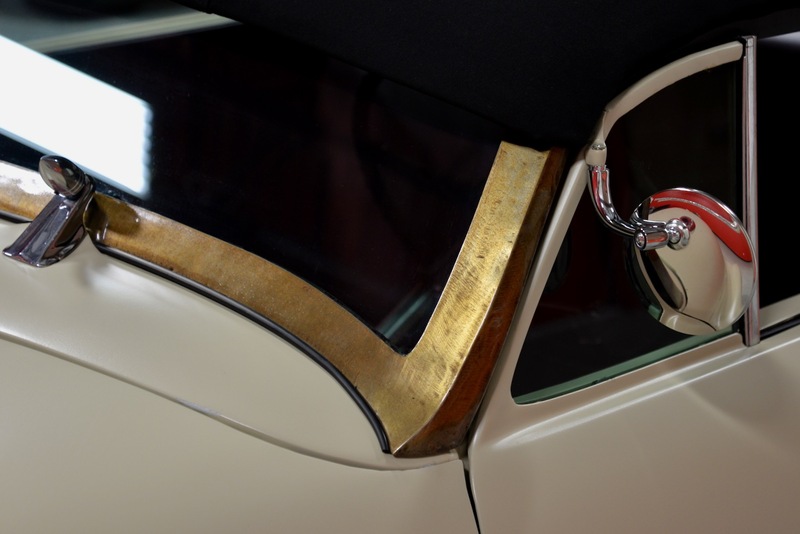 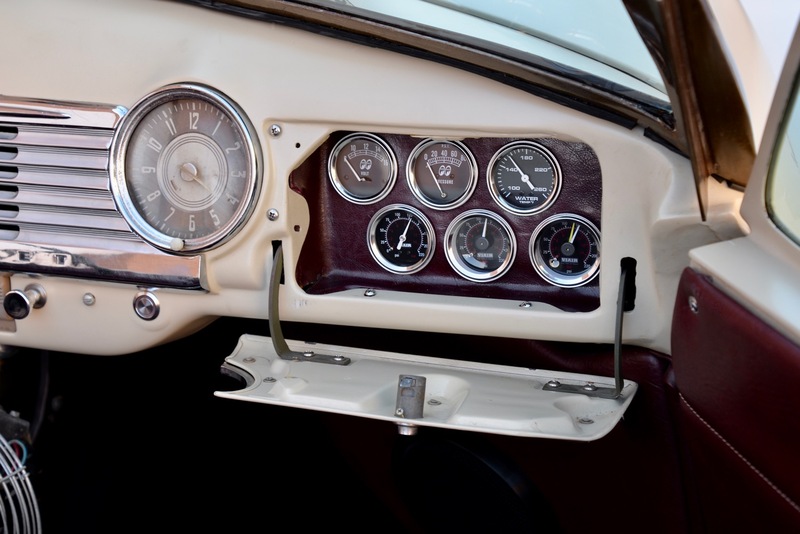 The Duvall style windshield frame was hand-made from a 1/8” steel plate & dyed brass. 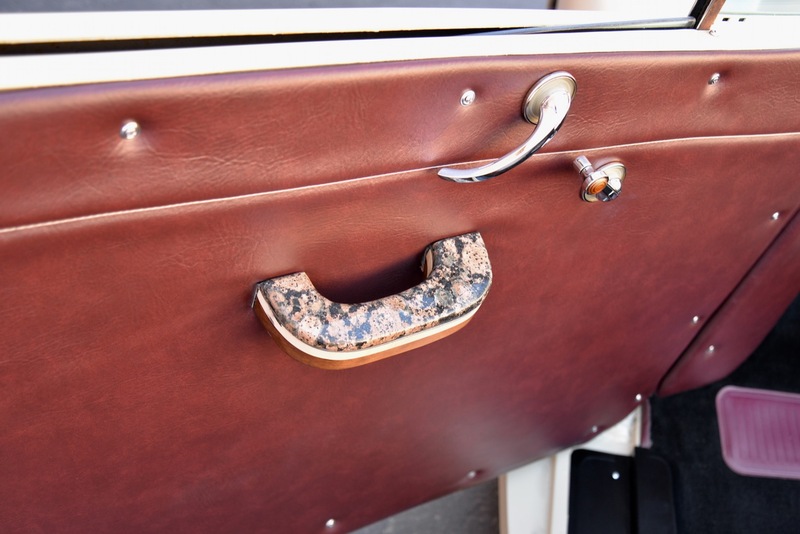 The dash is welded into the cowl w/ the windshield mounted on top for that Chris Craft boat inspired look. 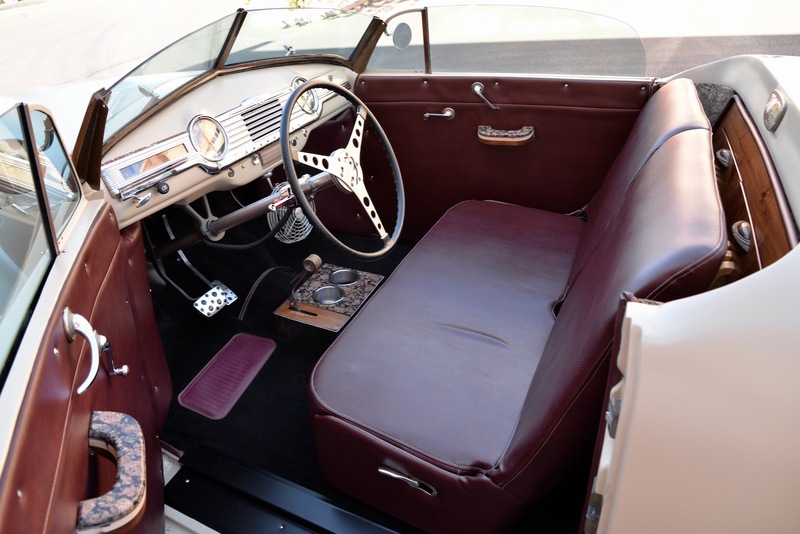 Other features include: 1961 Pontiac taillights encased in 1957 Buick front bumper horns, matched rear bumper filler panel installed in the trunk, customized Nash hood ornament, frenched glass license plate holder made from 1950 Hudson window moldings, pie-cut hood w/ shaved emblems, custom hand-made rocker extensions, hand-made door scuff plates powder-coated in matte black, custom made ‘Speedster’ emblem in honor of James Dean, black powder-coated bumpers, etc. 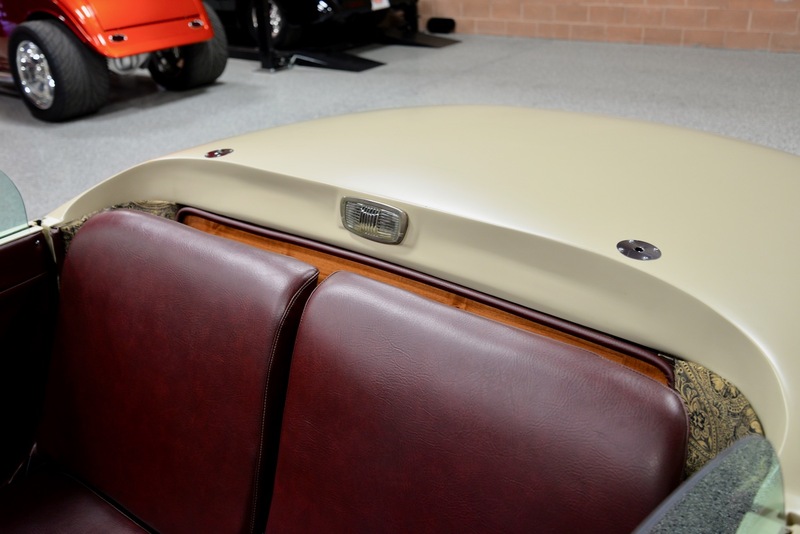 The inside & underside of the vehicle is lined w/ Lizard Skin sound deadening material that is color matched to the body. 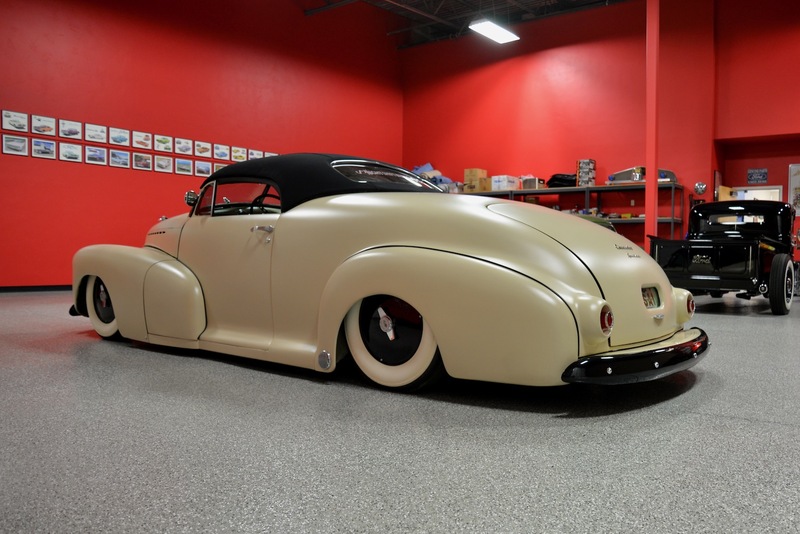 There are simply far too many custom features to list on this one-of-a-kind car, period! 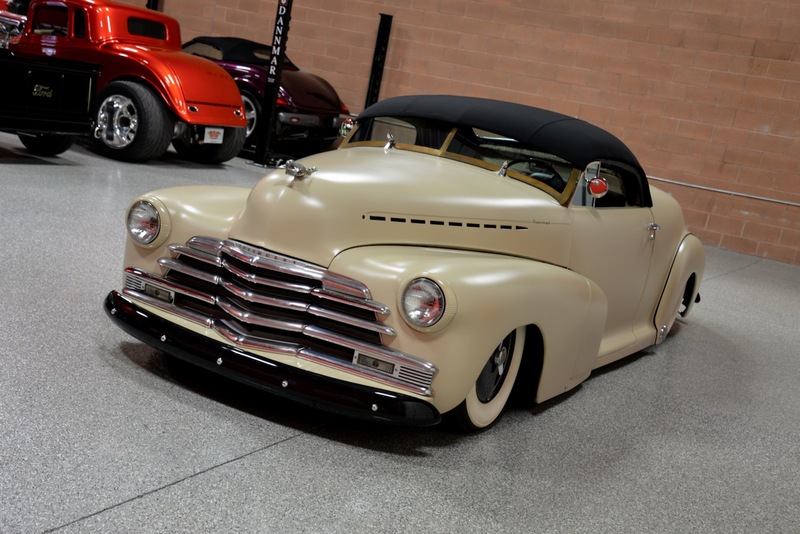 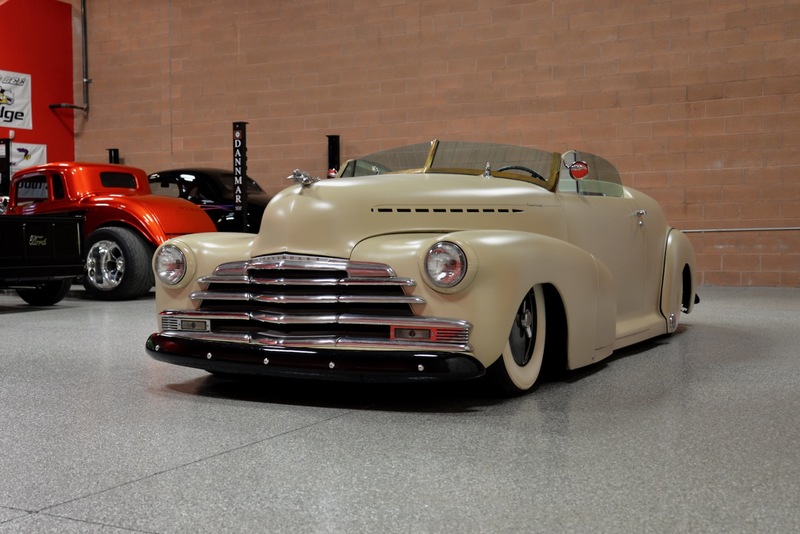 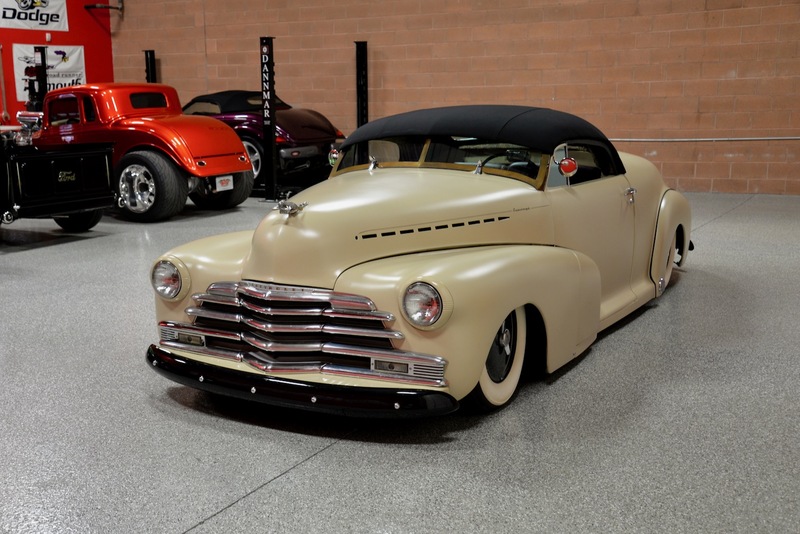 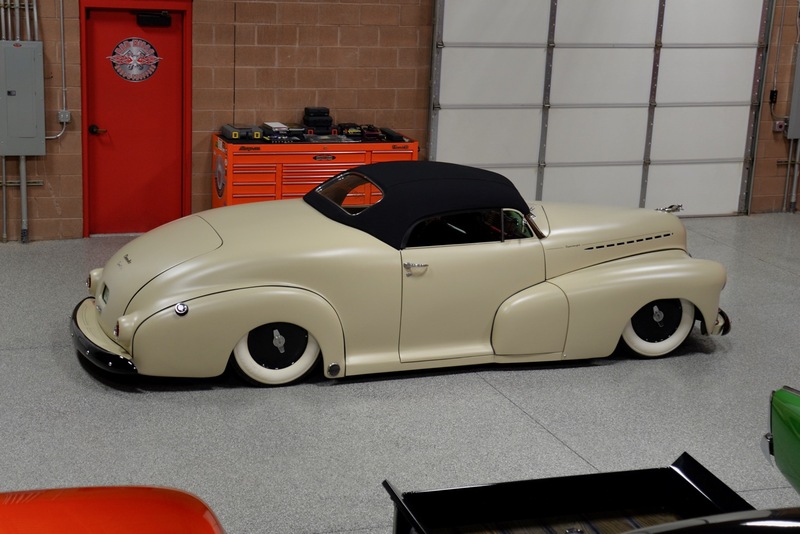 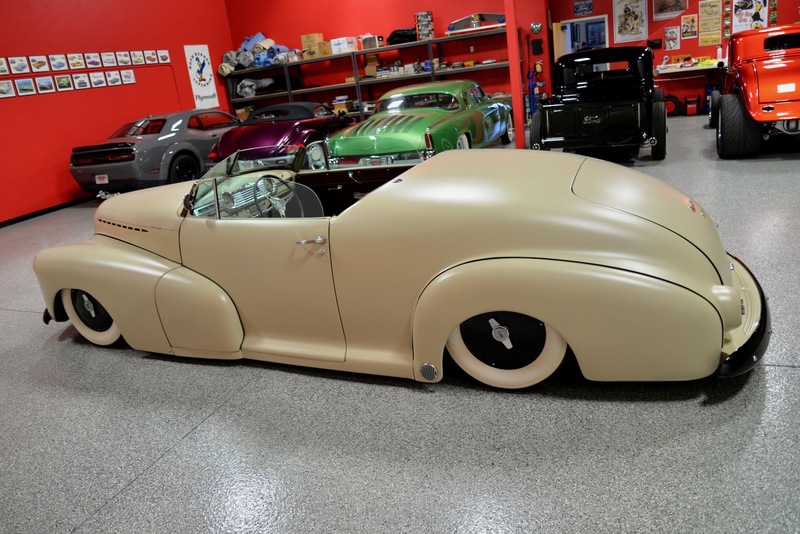 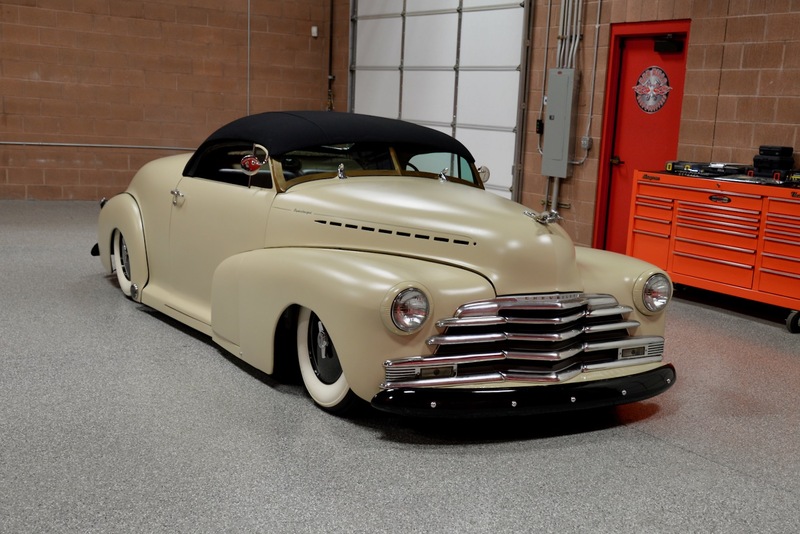 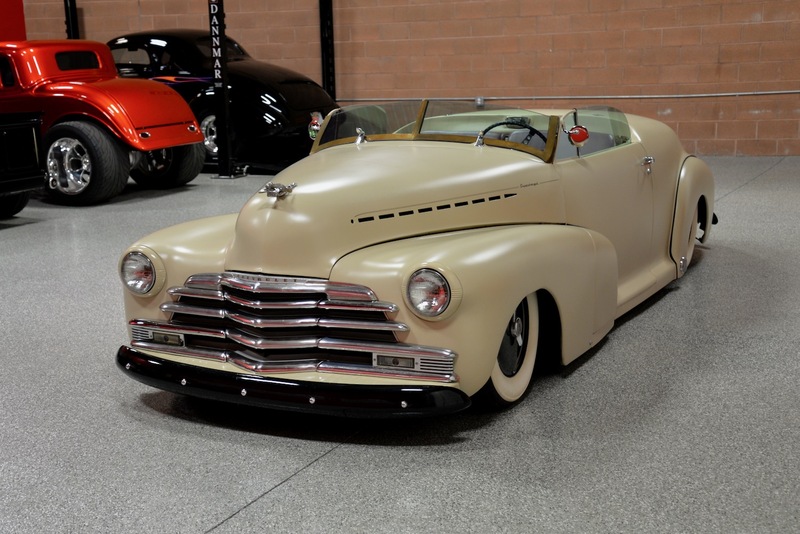 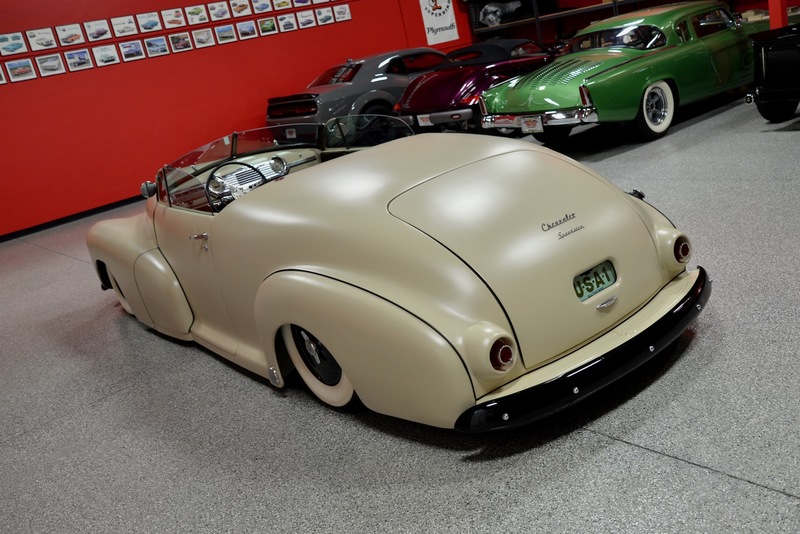 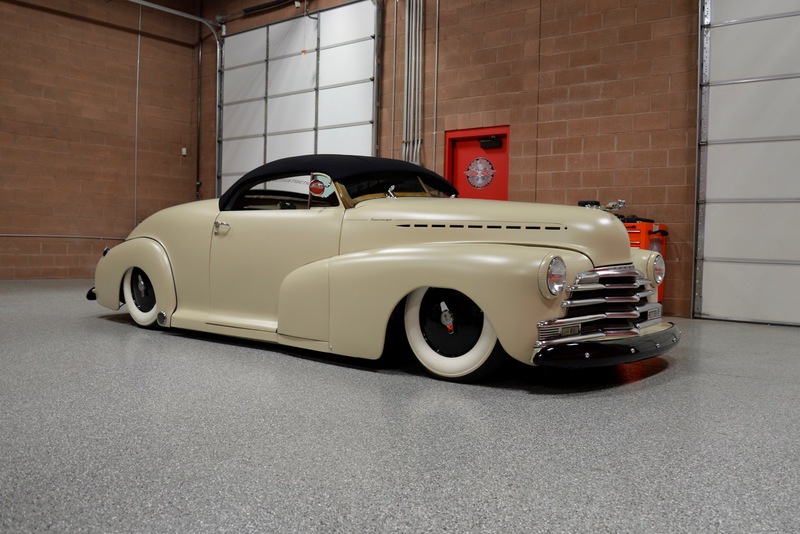 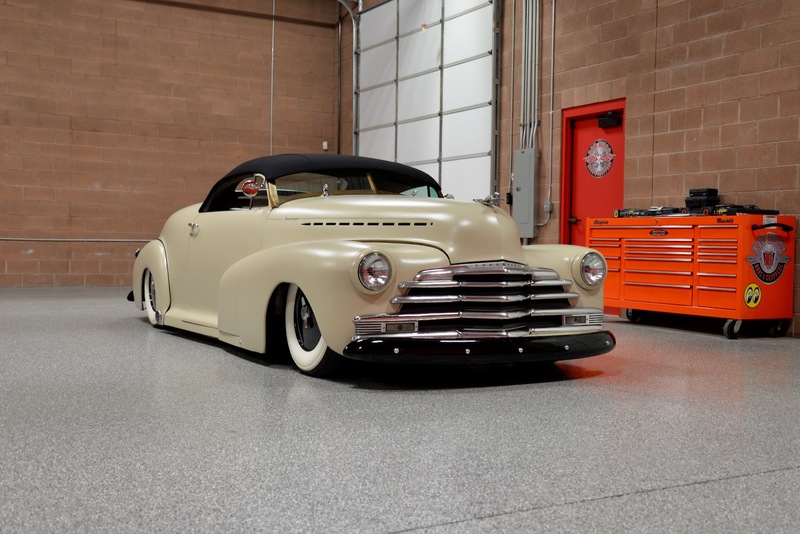 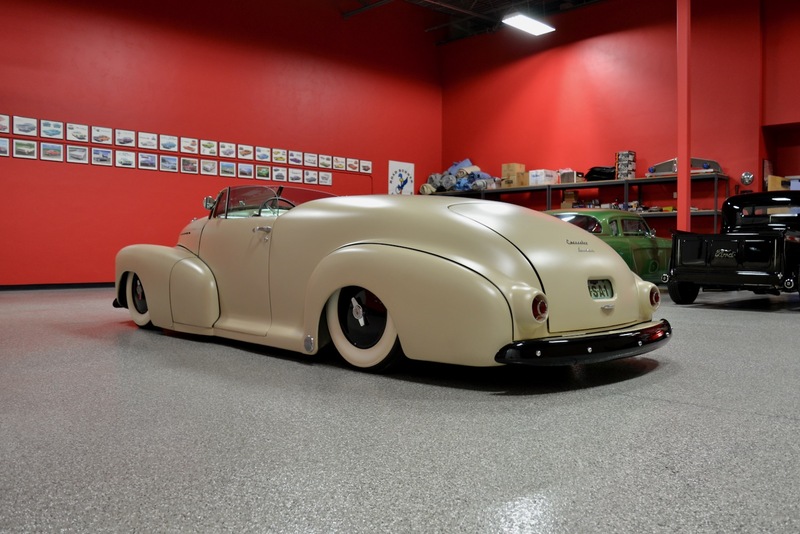 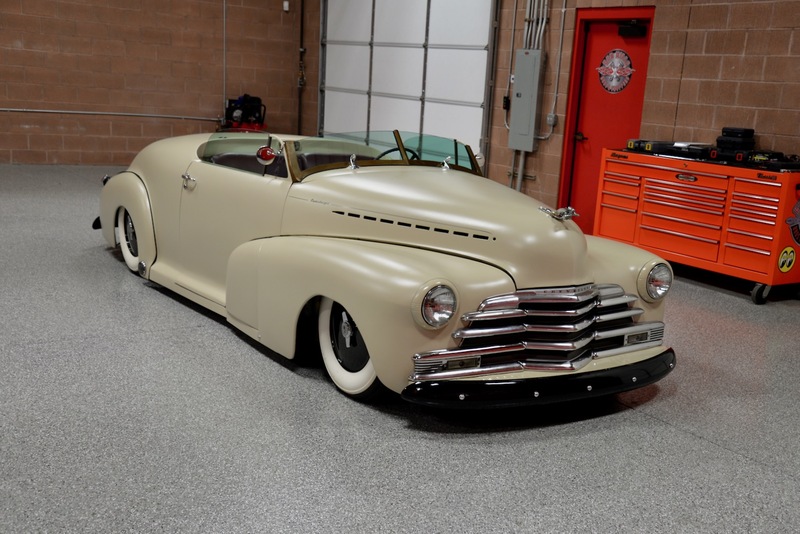 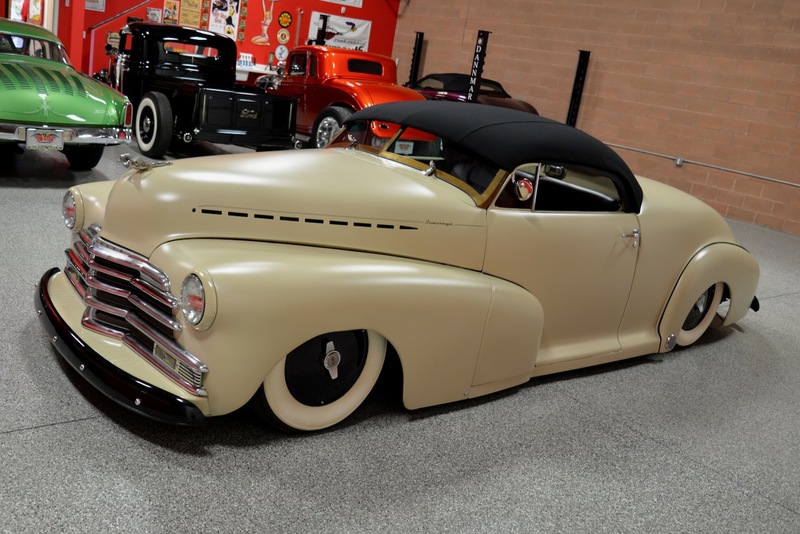 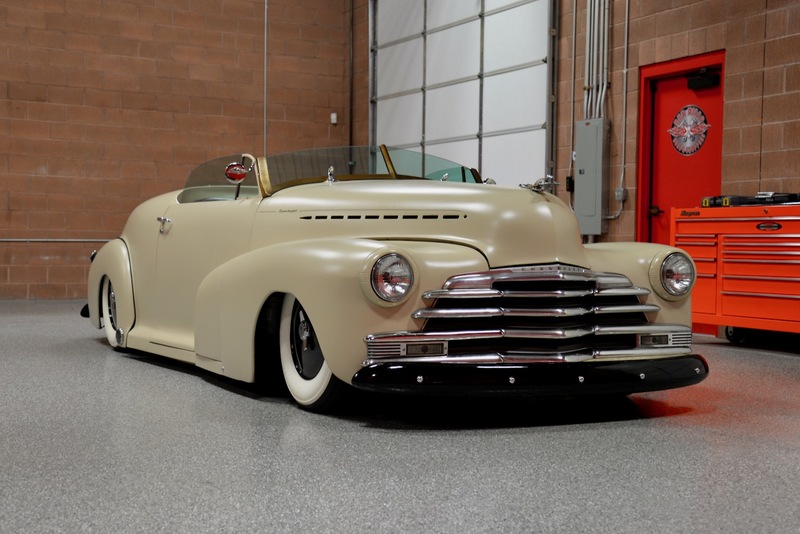 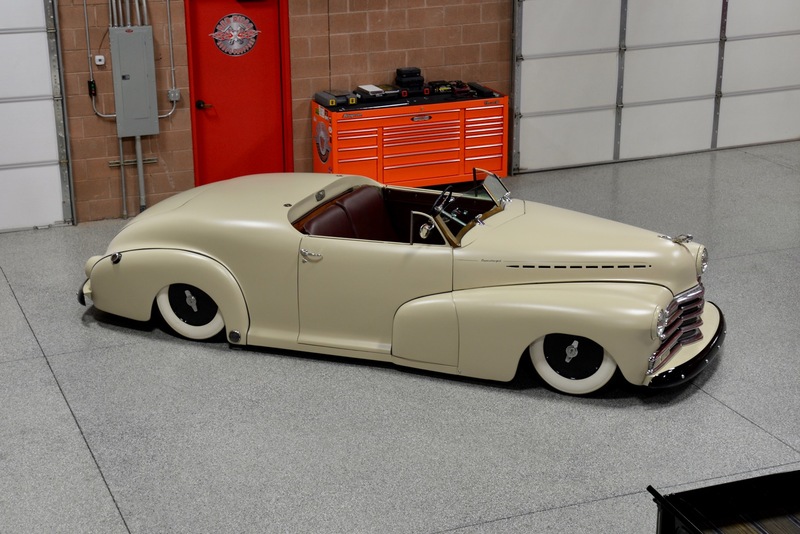 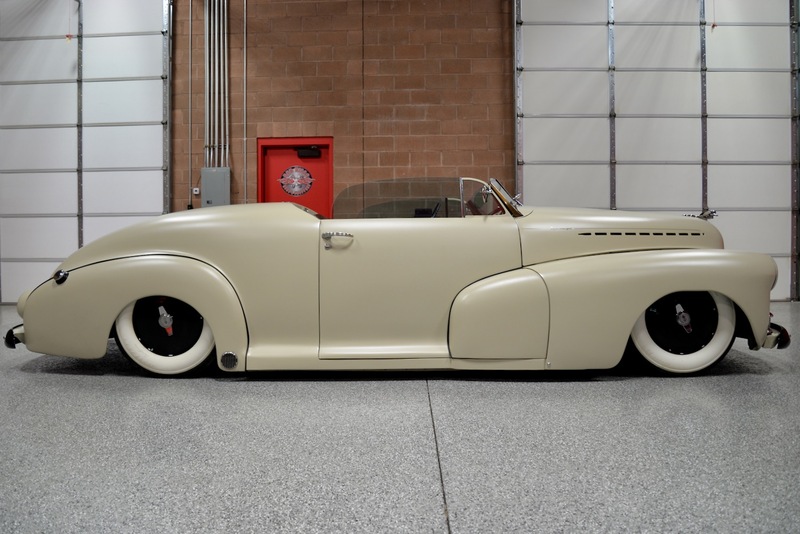 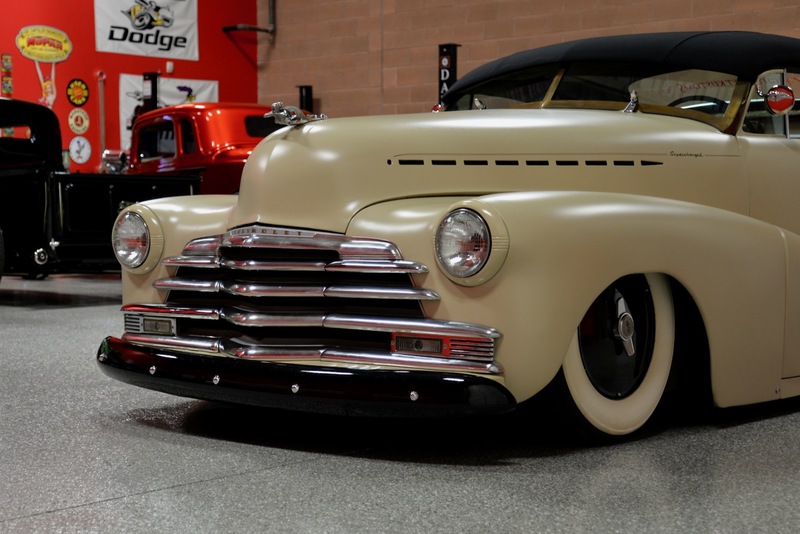 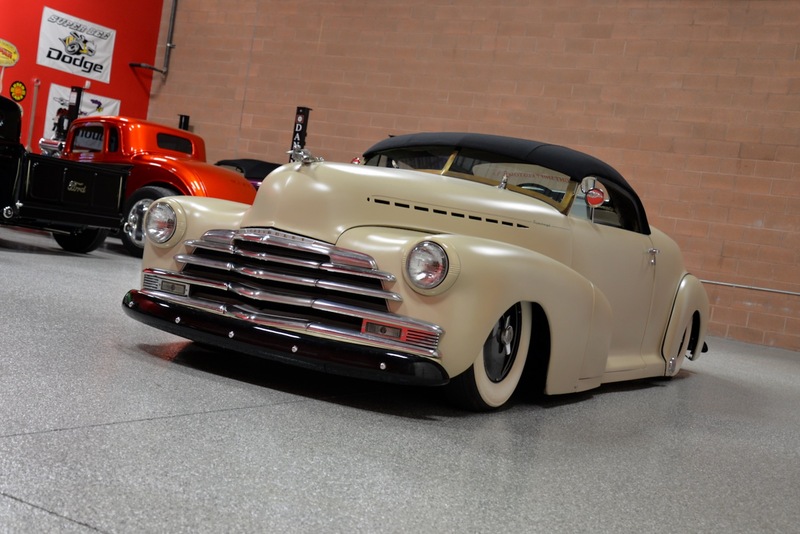 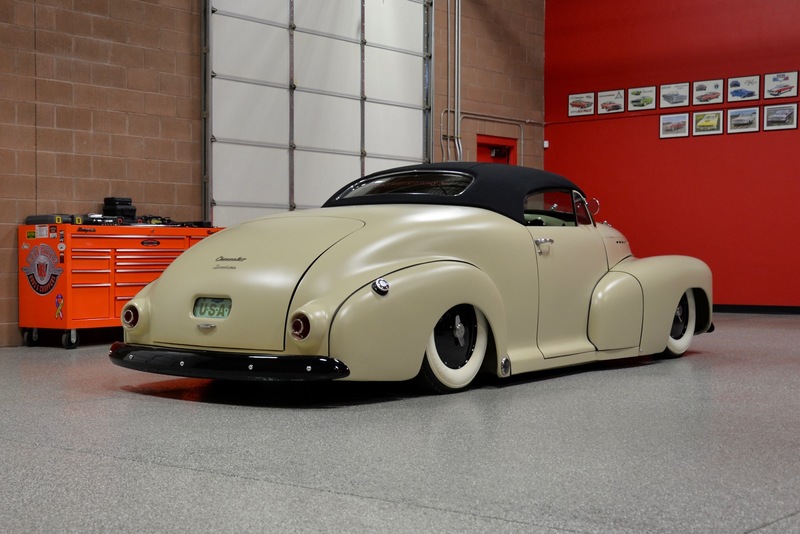 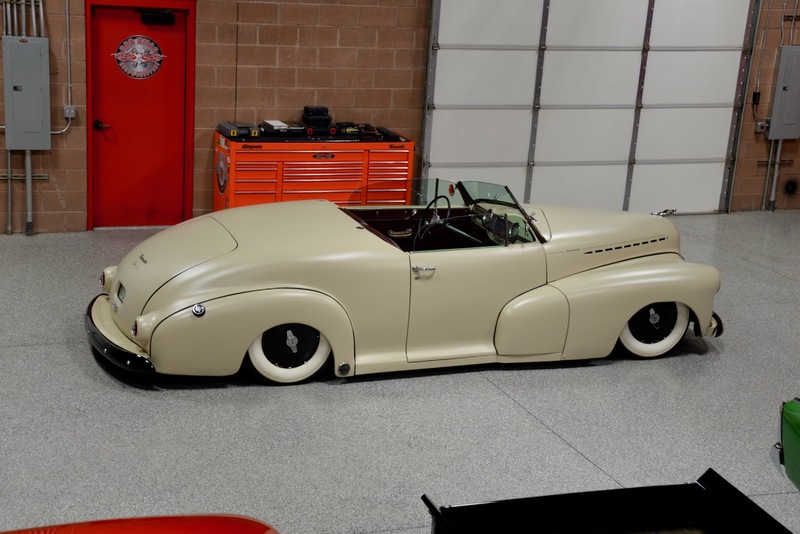 The ‘Shoreline Beige’ paint is by Hot Rod Flatz and looks truly spectacular on this Coupe. 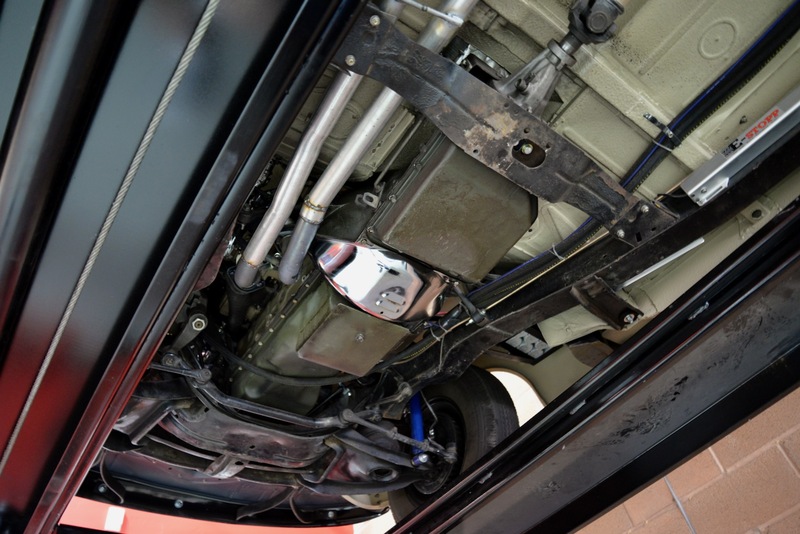 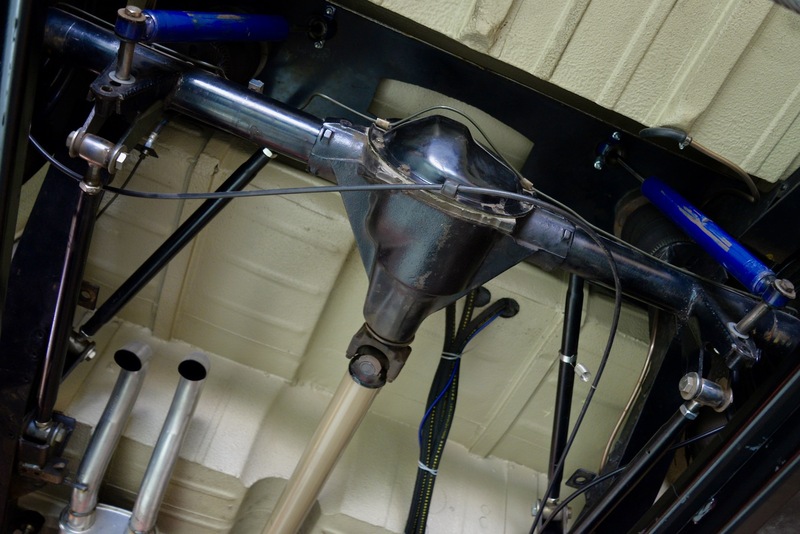 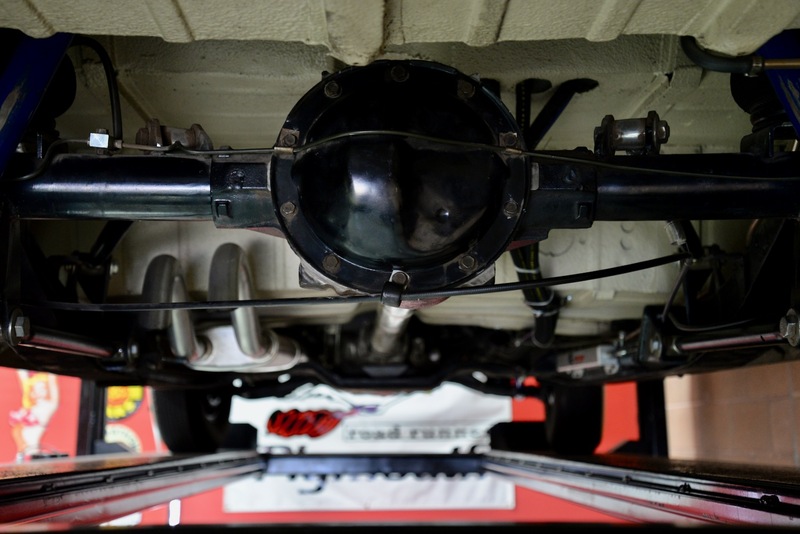 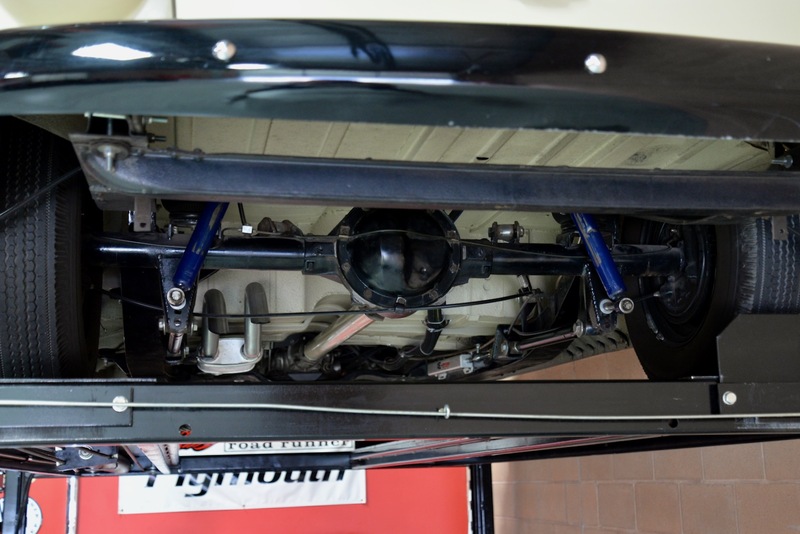 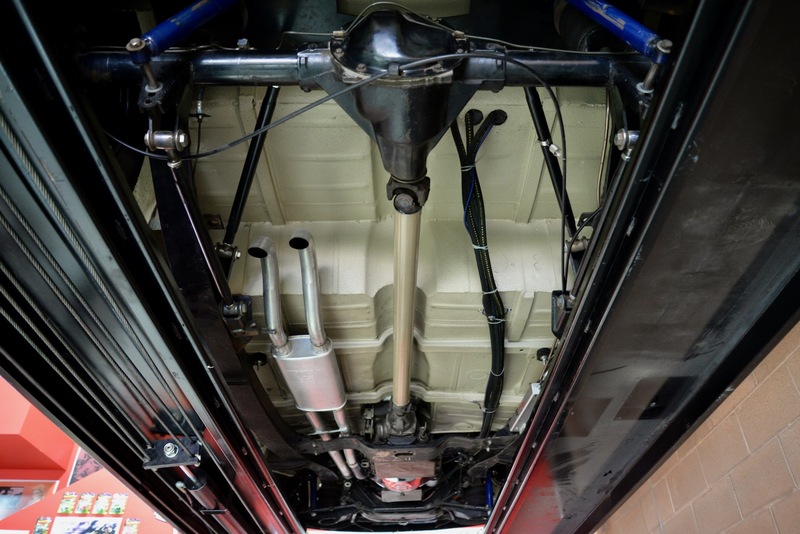 The body is mounted on the original Chevrolet frame, which was painted in semi-gloss black, and includes a fully rebuilt 1968 Nova front sub-frame, a GM 10-bolt 4-linked rear-end, 4-wheel drum brakes w/ 5-4 ¾” lug pattern, and a custom 4-corner Air Ride control system featuring a York belt-driven air compressor, 3000 psi hydraulic lines, 9-gallon air-tank, billet manifold valves, Chassis Tech air bags, and Slam Specialties controller. 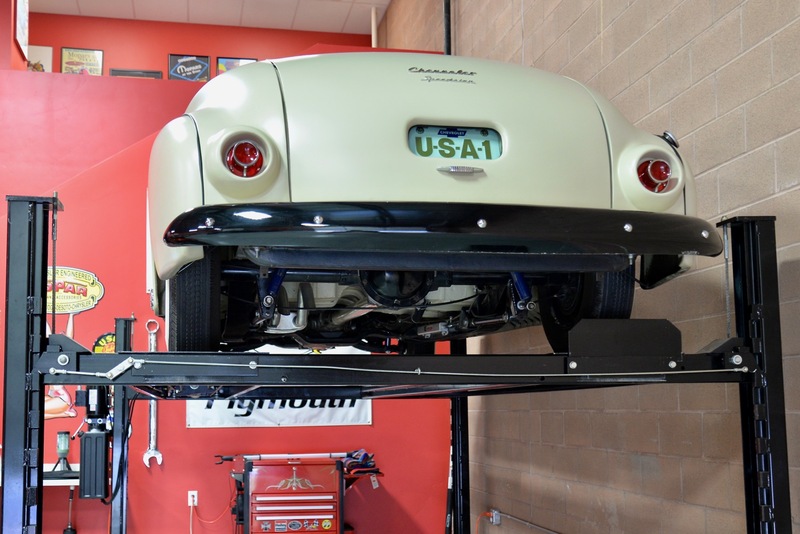 This Air-Ride system works incredibly well, w/ quick up & down motion. 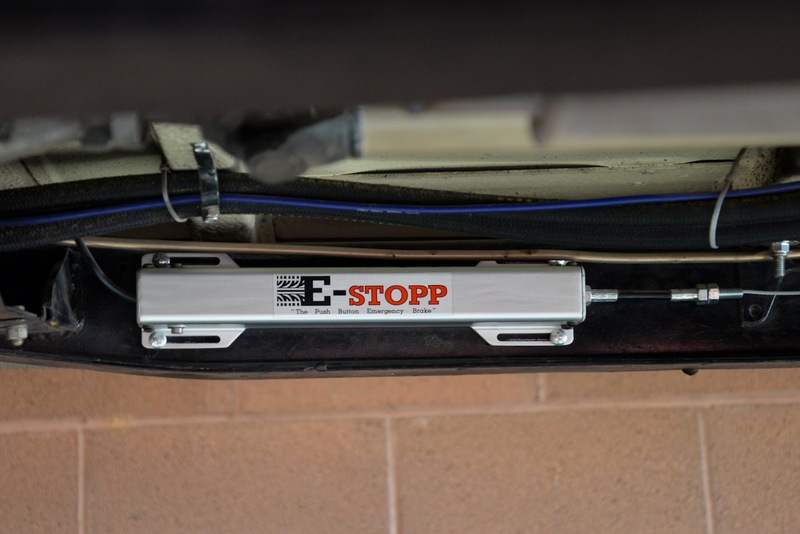 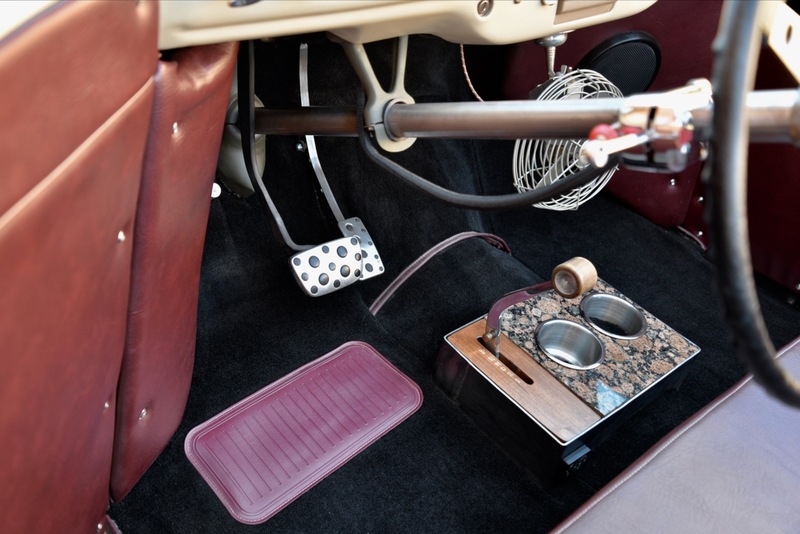 You can lay the car down all the way for car shows & events, or bring it up nice & high for any driving conditions as needed, and it does NOT leak while sitting! 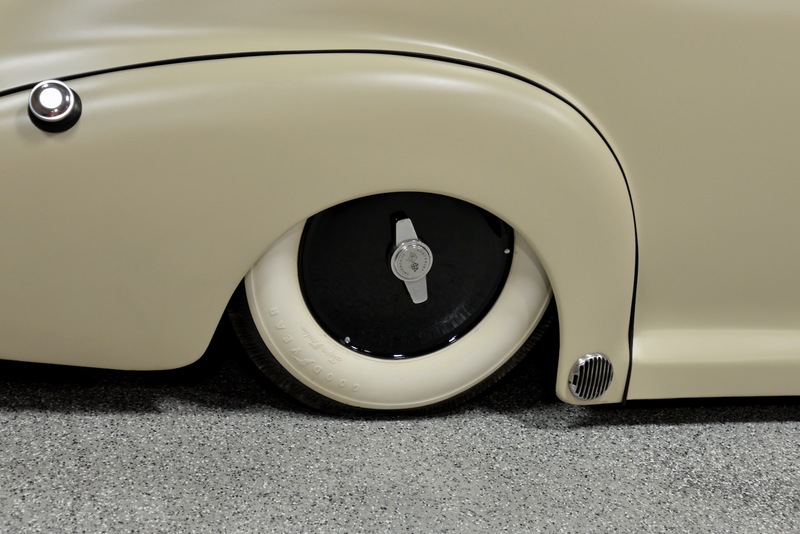 She sits on 15” Chevrolet steel-wheels w/ powder-coated MOON hubcaps & Corvette spinners, wrapped w/ Goodyear Super Soft bias-ply wide white-wall tires. 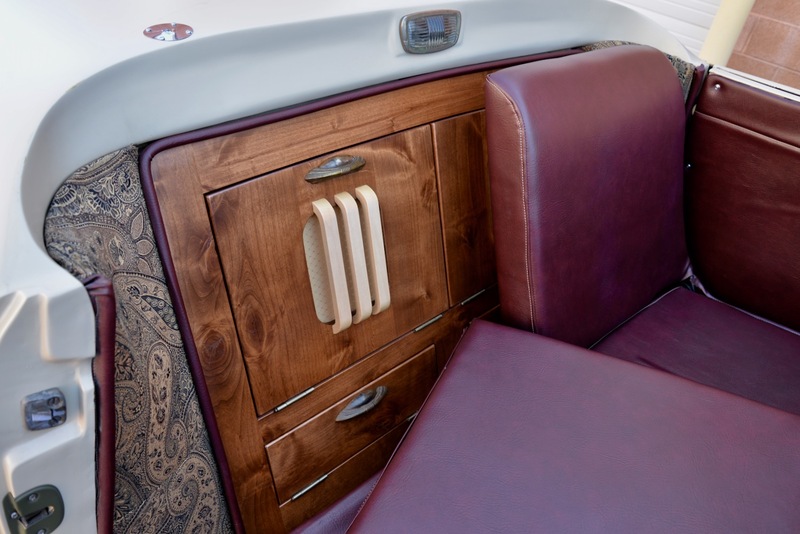 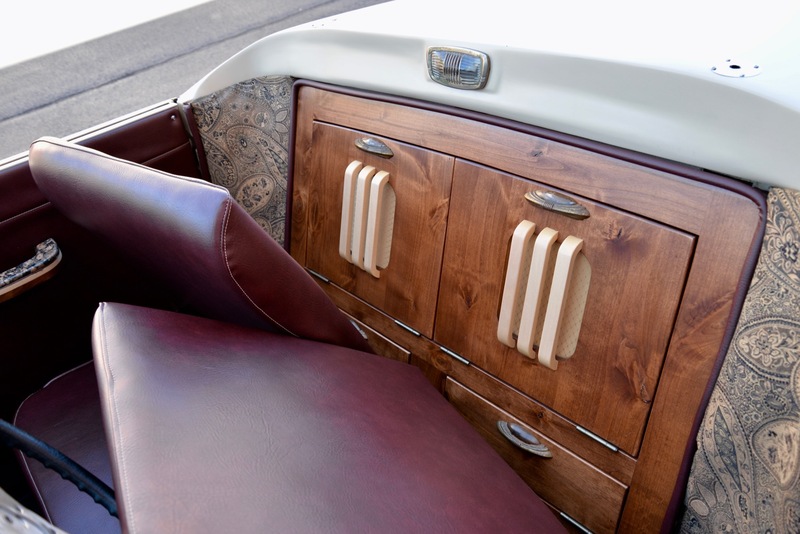 Open the driver’s door and you’ll find a beautiful custom interior, also Chris Craft inspired w/ its elegant but simple design. 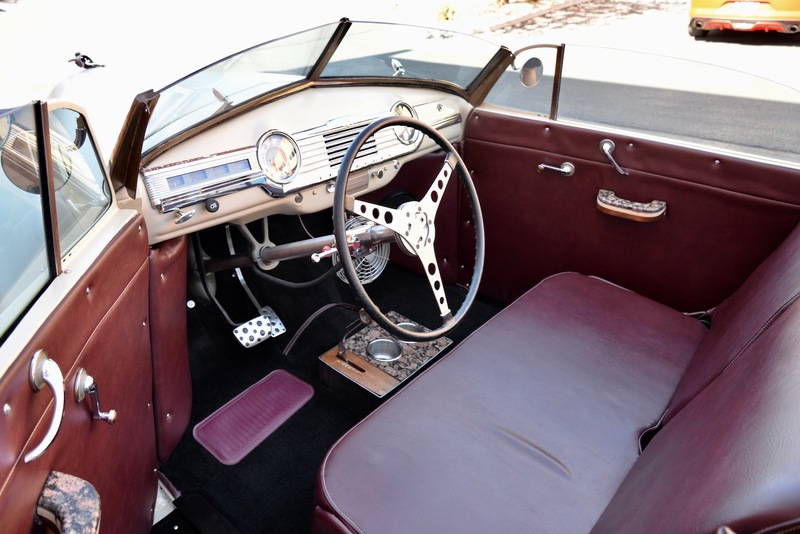 Interior features include: 1941 Plymouth seat wrapped in Oxblood Red vinyl w/ a simple flat design & nice sharp edges (seat springs were removed & new foam was installed built to contour to the frame), matching Oxblood Red door panels, original stock dash (gauges for the vitals & Air-Ride installed in the glove box), 1958 Corvette steering wheel, custom-made granite & wood door handles & center console, E-Stopp electronic E-brake & security system, custom-formed black carpeting throughout, ’67 Chevrolet truck cab filler panel behind the seat w/ ’41 Plymouth dome light, Arc Audio bluetooth sound system, (2) removable umbrellas in each door, etc. 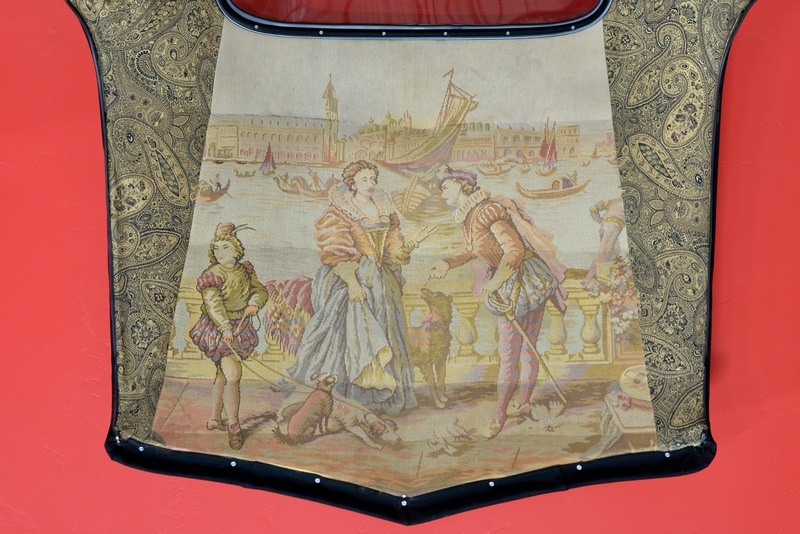 The gorgeous headliner for the removable hardtop is an 1800’s tapestry of Venice, Italy (please see photo), and located behind the seat you’ll find custom-made wood cabinetry inspired by vintage AM radio designs, featuring vintage fabric for the inserts as well as vintage brass & Bakelite handles. 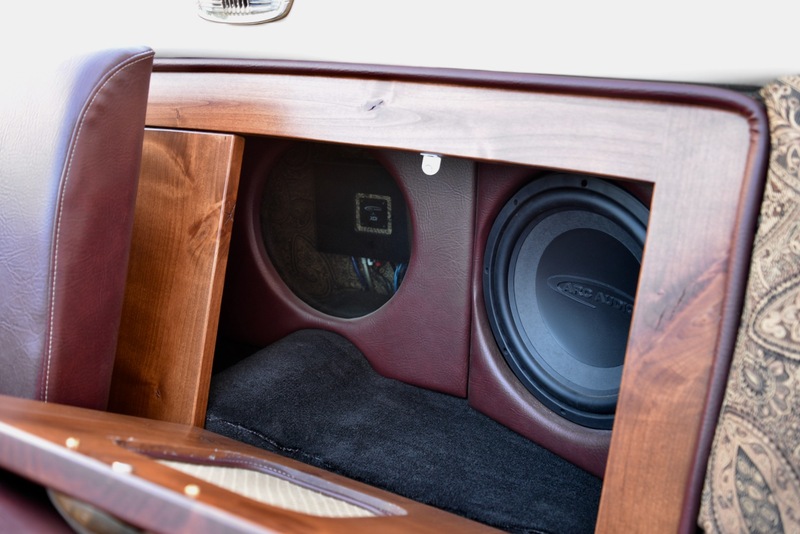 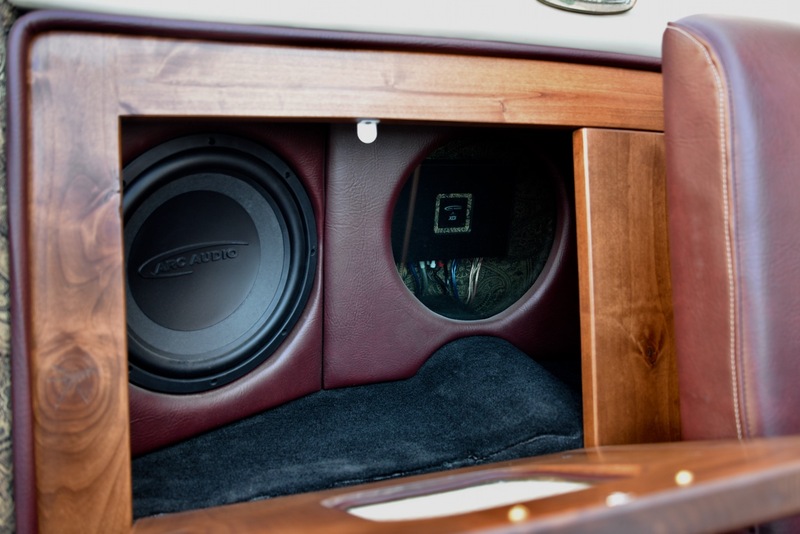 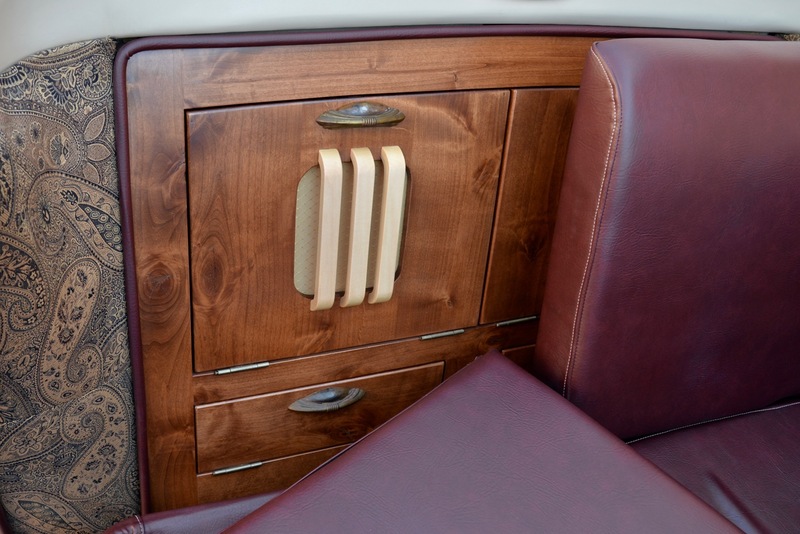 Located inside the cabinet are (2) 12” Arc Audio subwoofers, and an Arc Audio digital amplifier covered in the same Oxblood upholstery w/ a glass amplifier cover. 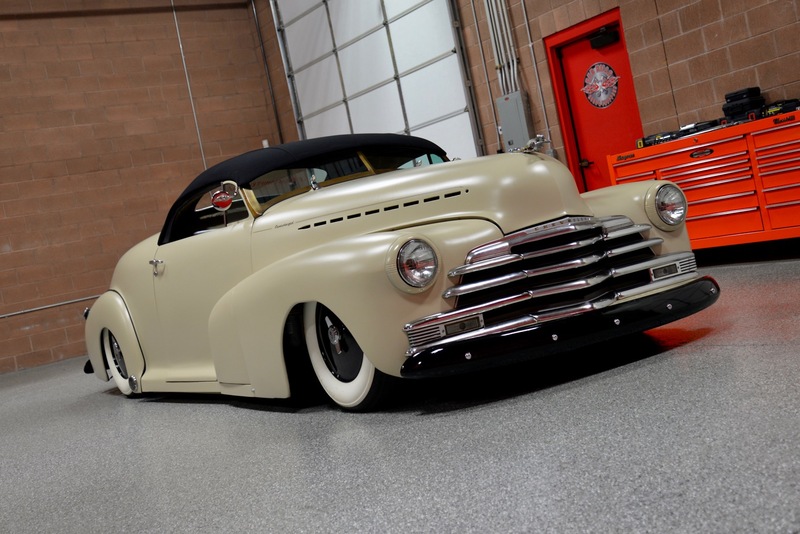 Can you say KUSTOM? 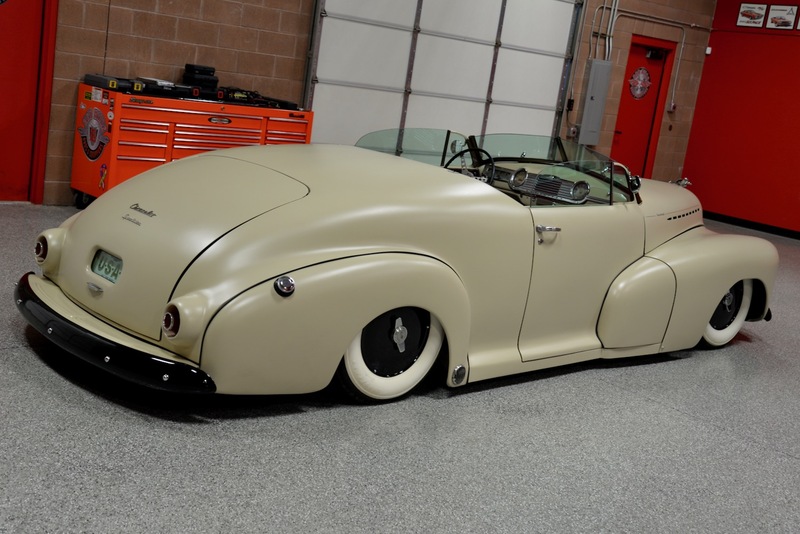 You will never find another vehicle quite like this one! 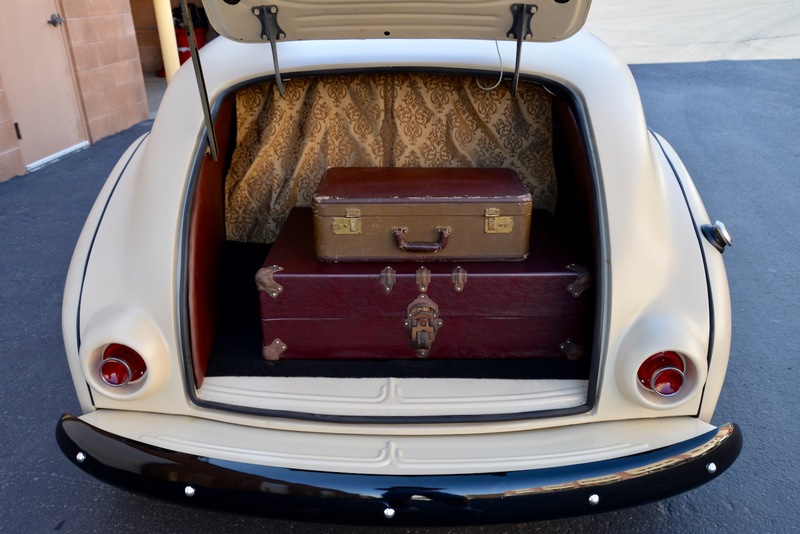 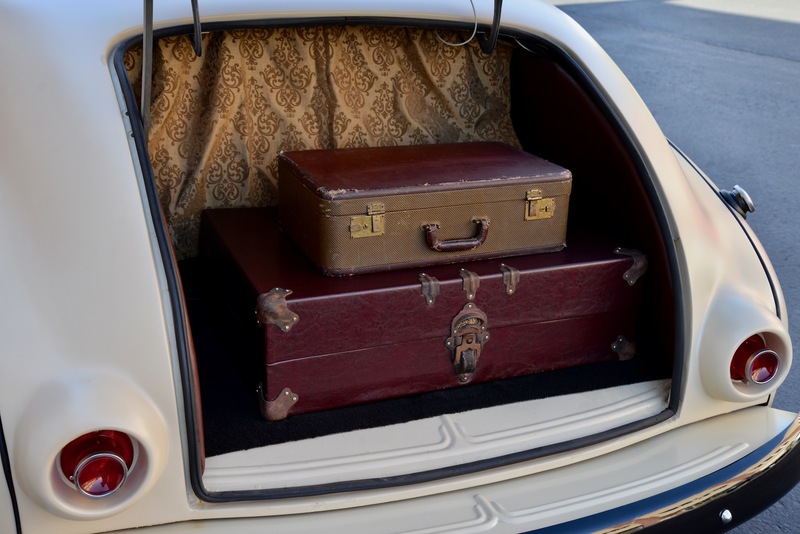 Open the trunk door and you will find (2) vintage suitcases, one is a cover for the fuel tank and the other can be used for tools, documentation, clothes, or whatever you choose. 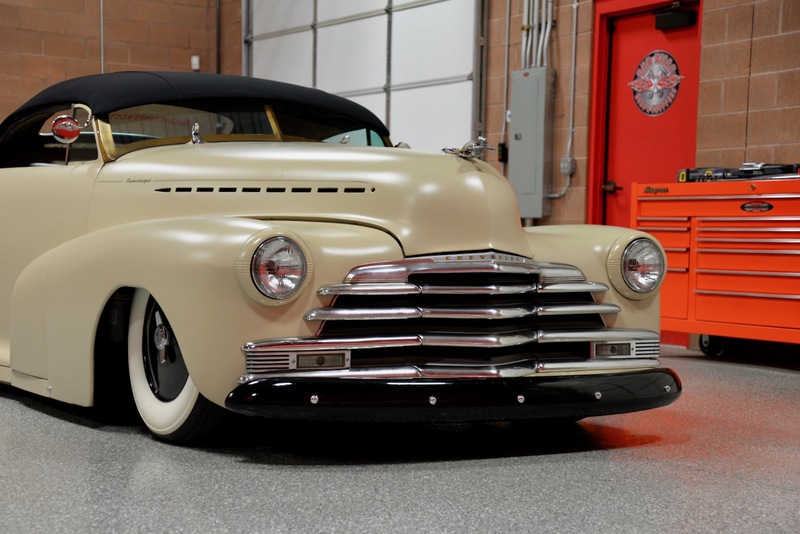 Powering this awesome ’47 Chevrolet Sport Coupe is a Supercharged 230ci inline-six motor dressed up in period correct performance components. 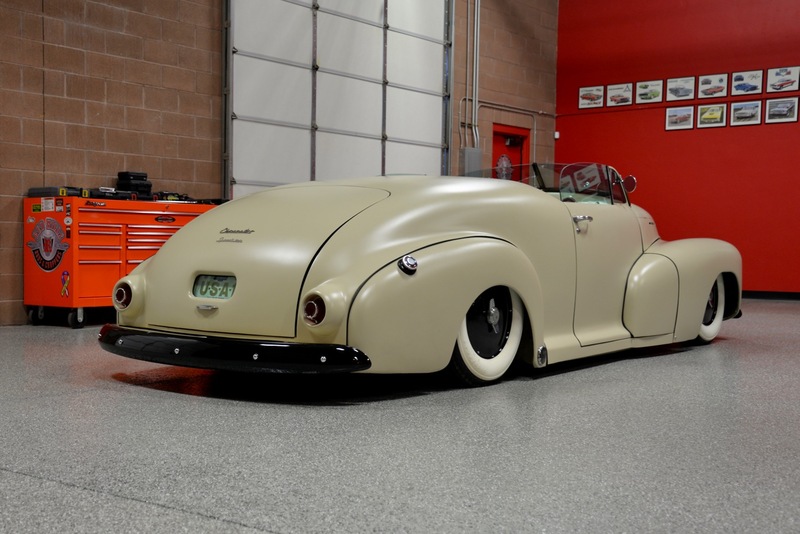 It would have been simple to throw a 350 SBC in this car but the idea was to keep it as period correct as possible w/ an authentic vintage flair. 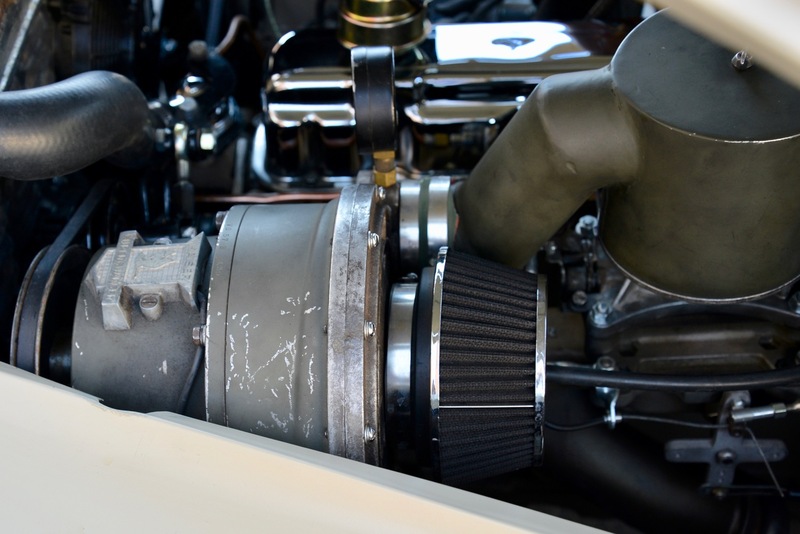 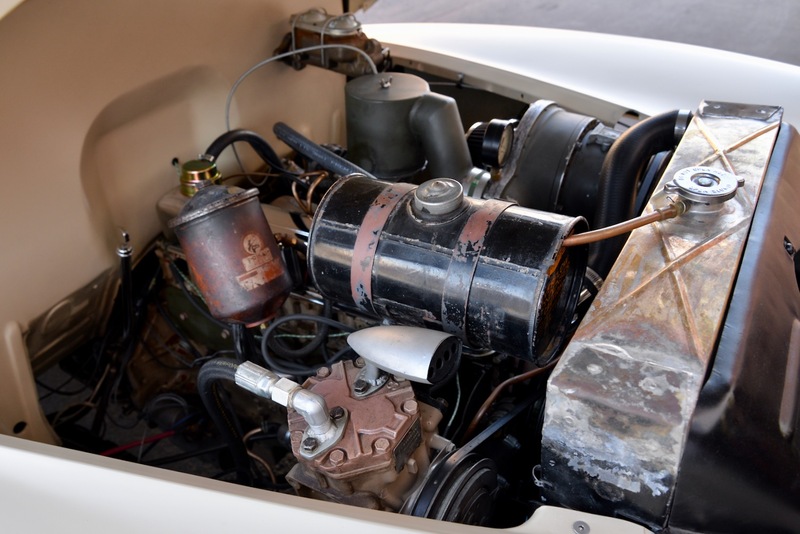 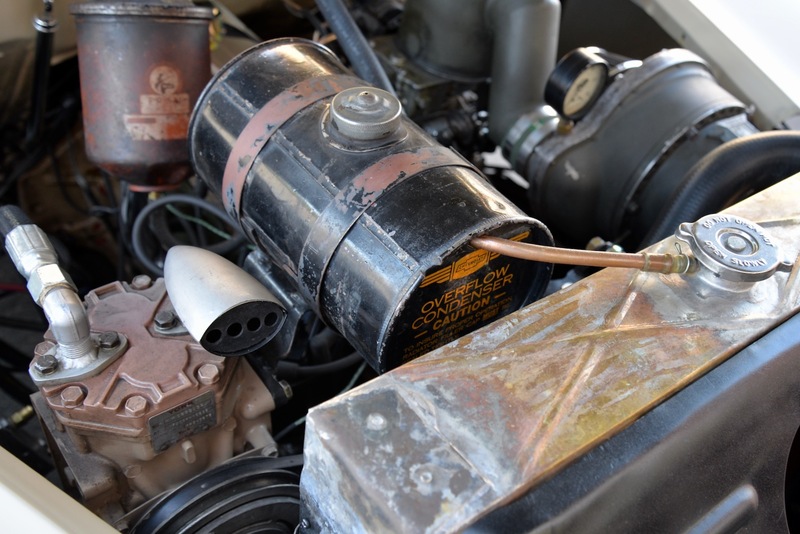 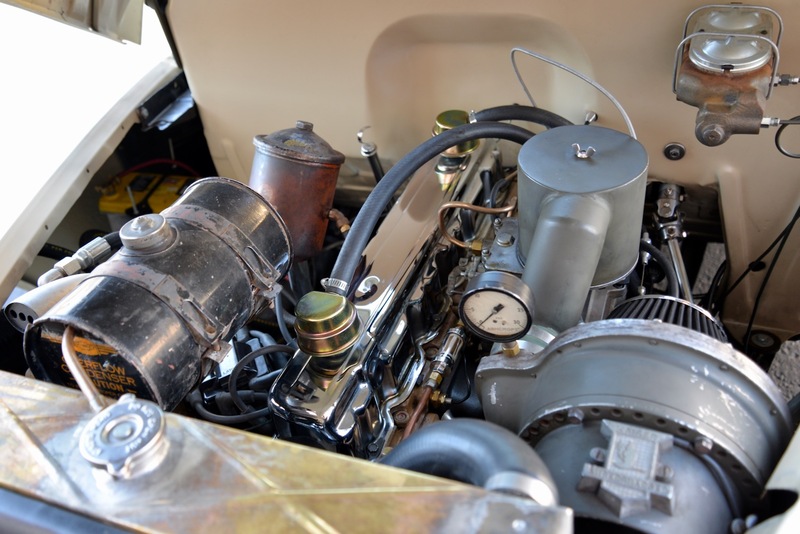 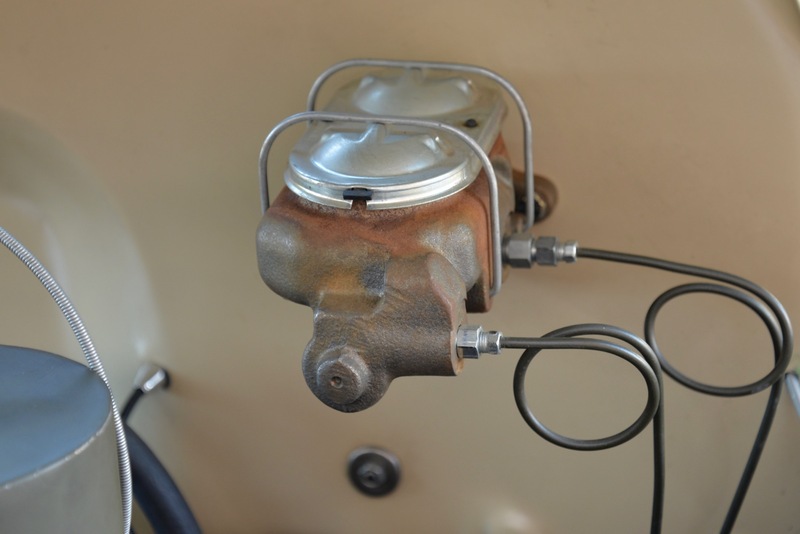 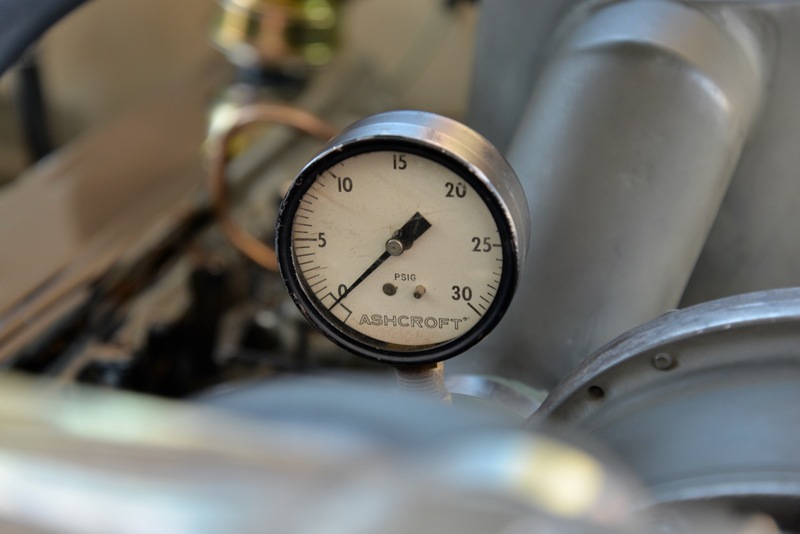 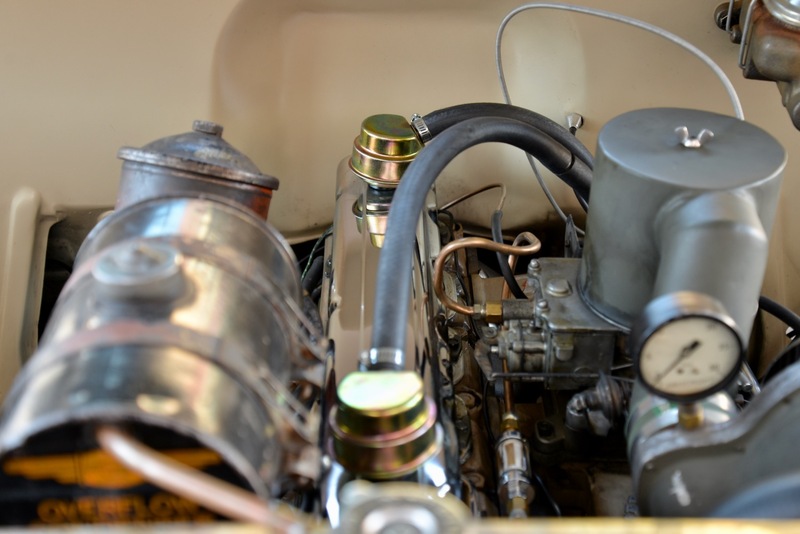 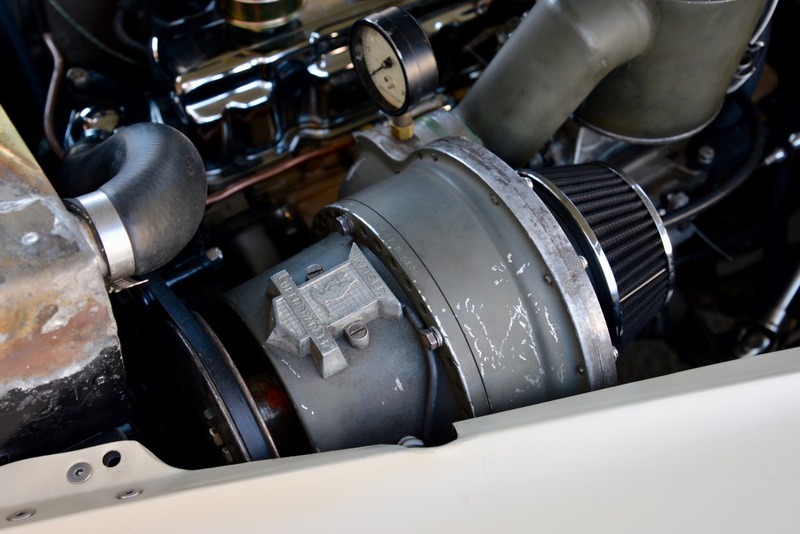 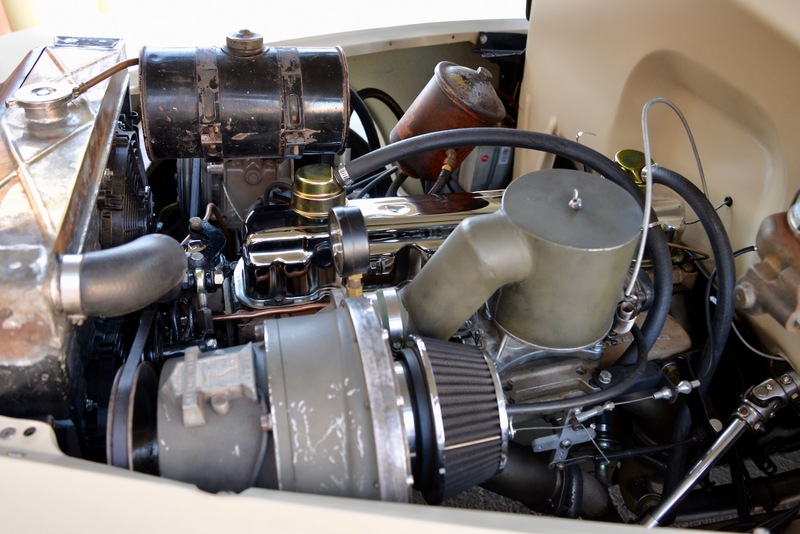 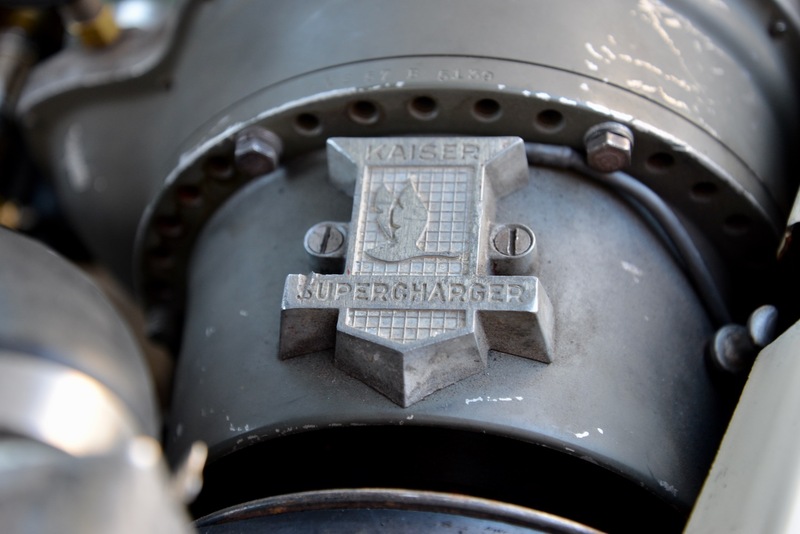 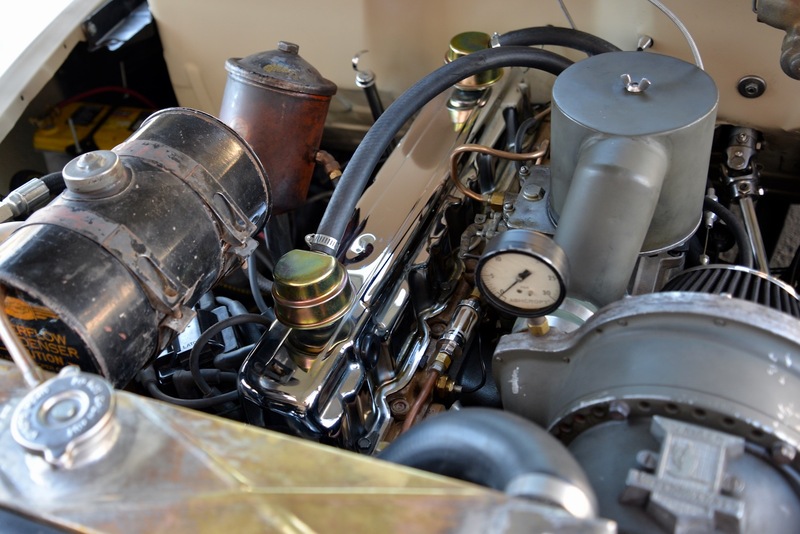 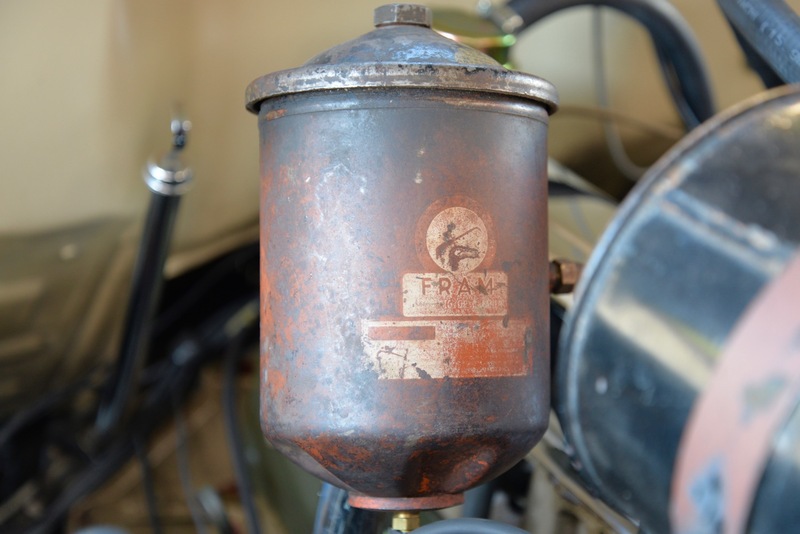 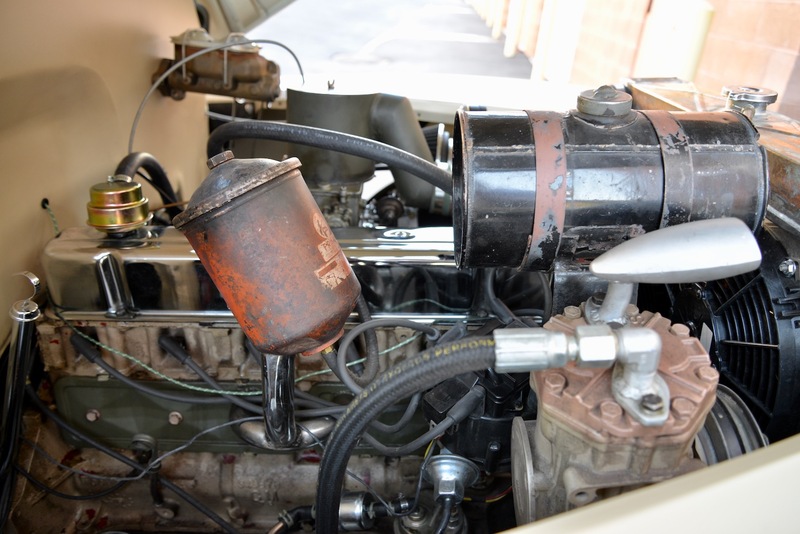 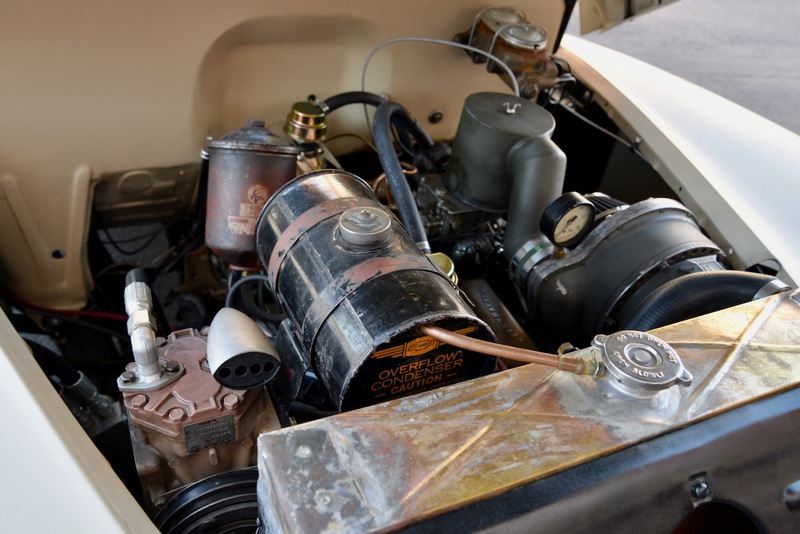 A list of engine features includes: 1947 McCulloch supercharger, Offenhauser intake manifold, split cast exhaust manifolds by 12-Bolt Speed Equipment, Motorcraft 500cfm 2V carburetor, HEI distributor, GM one-wire alternator, custom-made pulley system & mounts, 1/8” steel oil pan bottom, custom all-black wiring harness labeled throughout, custom-built radiator w/ louvered electric fan shroud, mini Optima deep cycle yellow-top battery, etc. 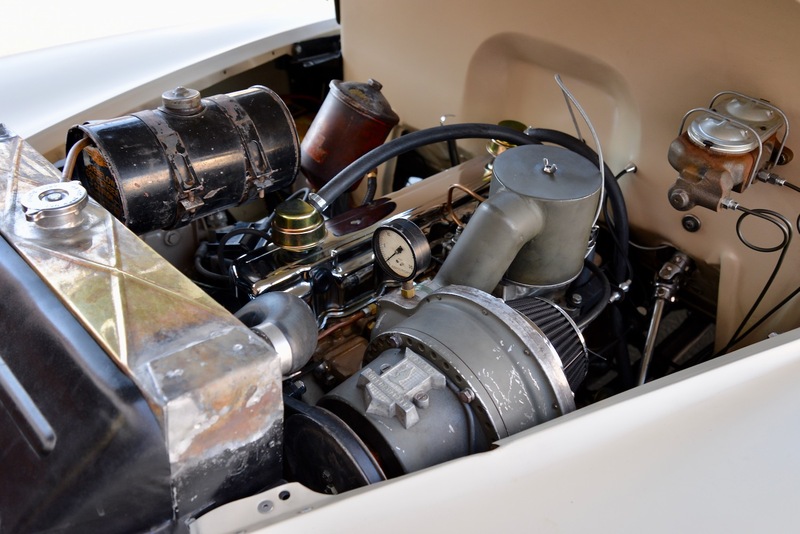 The motor is linked to a rebuilt GM TH350 automatic transmission which feeds power to the 10-bolt rear end w/ 3.08 gears. 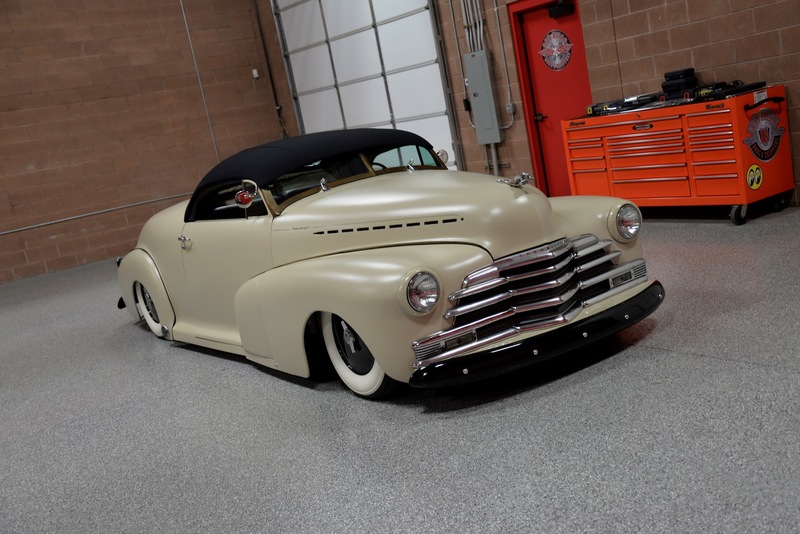 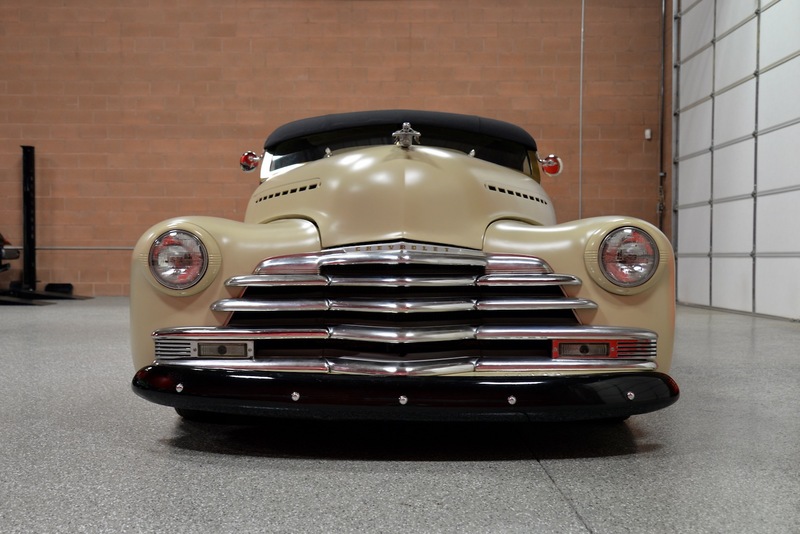 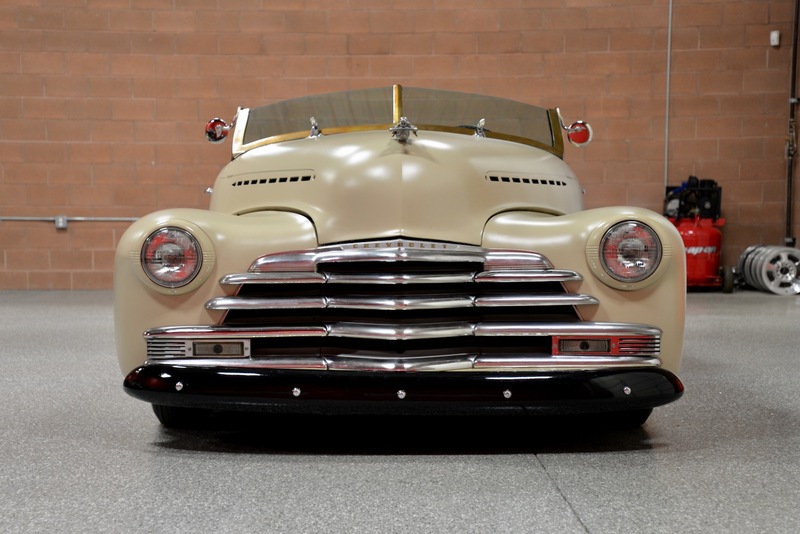 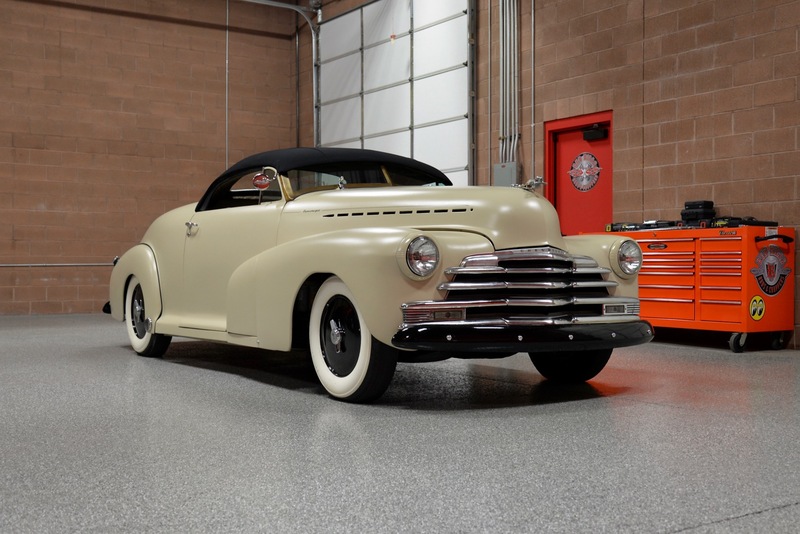 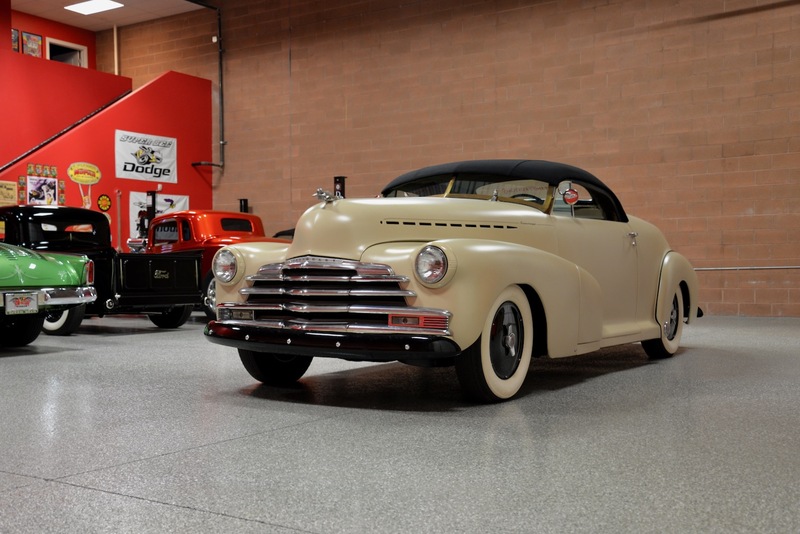 This 1947 Chevrolet Sport Coupe runs beautifully and is an absolute BLAST to drive! 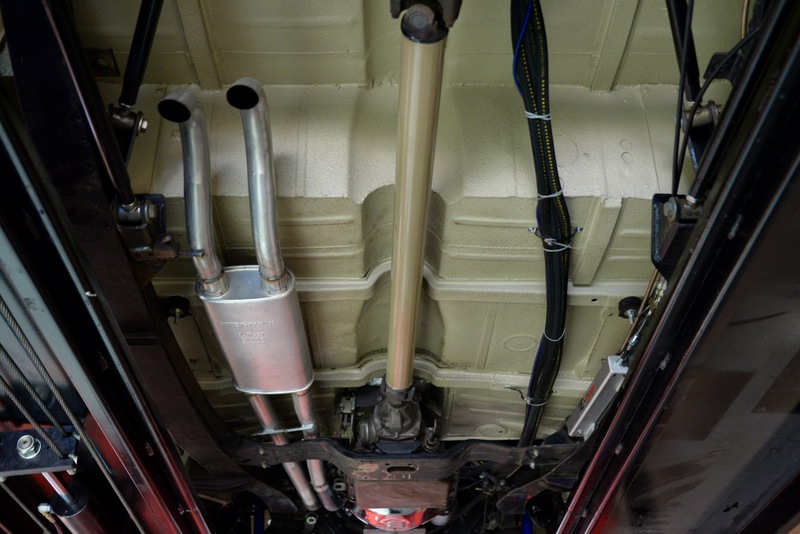 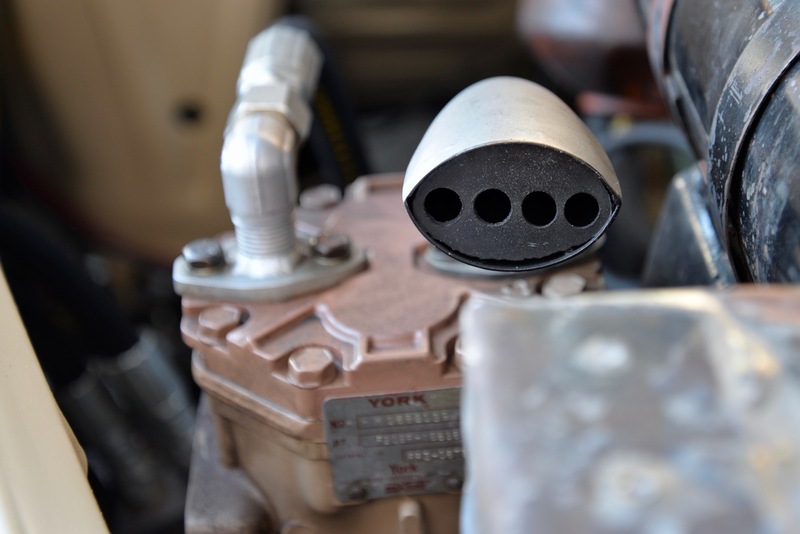 The 2 ¼” zinc-coated exhaust system w/ a Cadillac STS muffler sounds excellent as well! 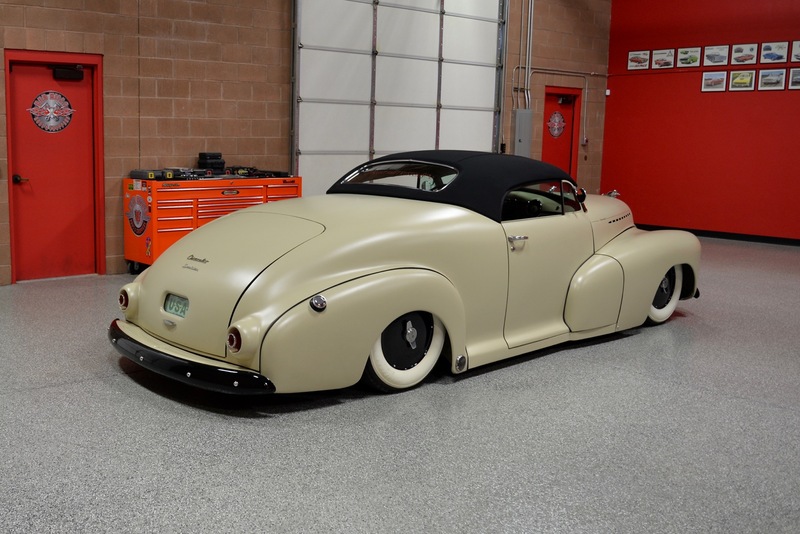 When the build was originally completed in 2016, she was featured @ SEMA in Las Vegas, Nevada, where she took home several awards, including awards from several automotive websites & podcasts. 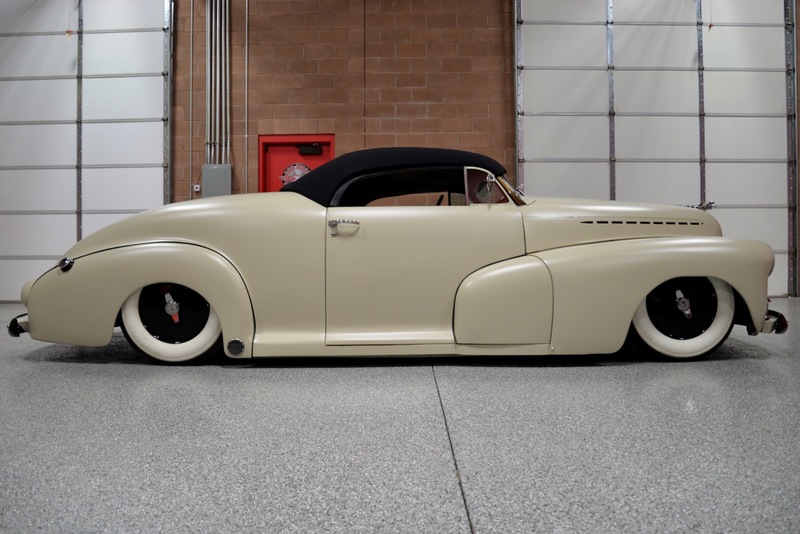 There is simply not another classic car that looks quite like this one, and certainly not another example with such specialized features. 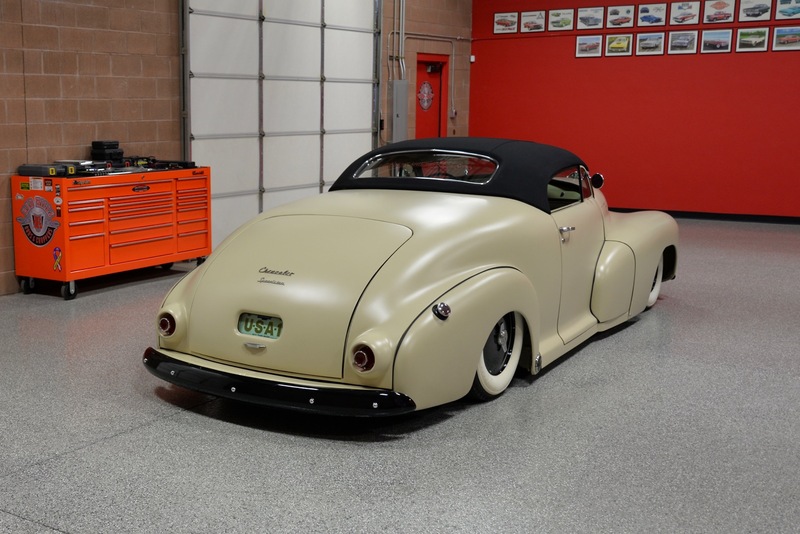 She has only had one owner, the man who built her, but in order to make way for another project, it’s time to say goodbye and for someone else to enjoy his special creation. 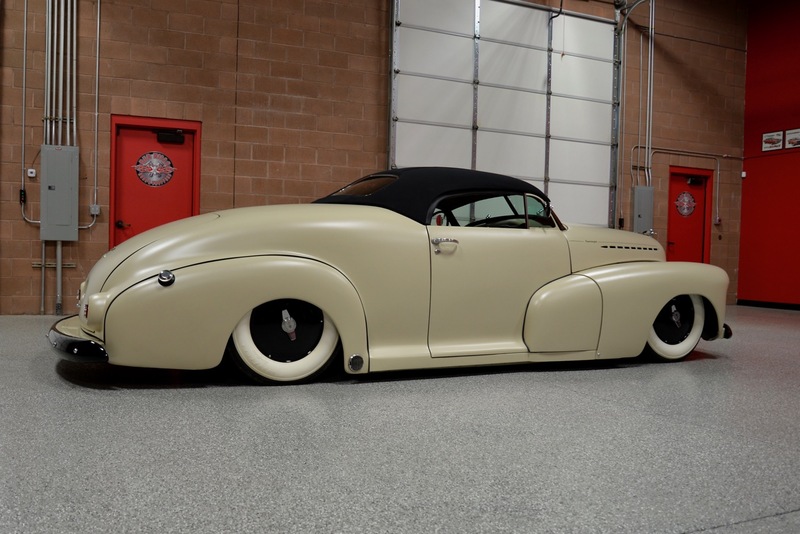 Again, if you have been searching for one-of-a-kind classic car that will separate you from all of the others, you have found your car!